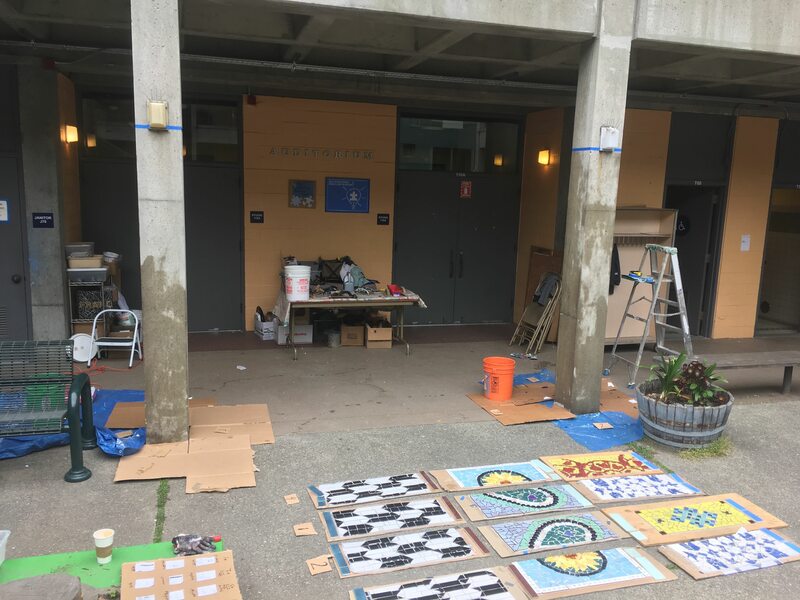 Beautifying a School 3 Years in a Row! 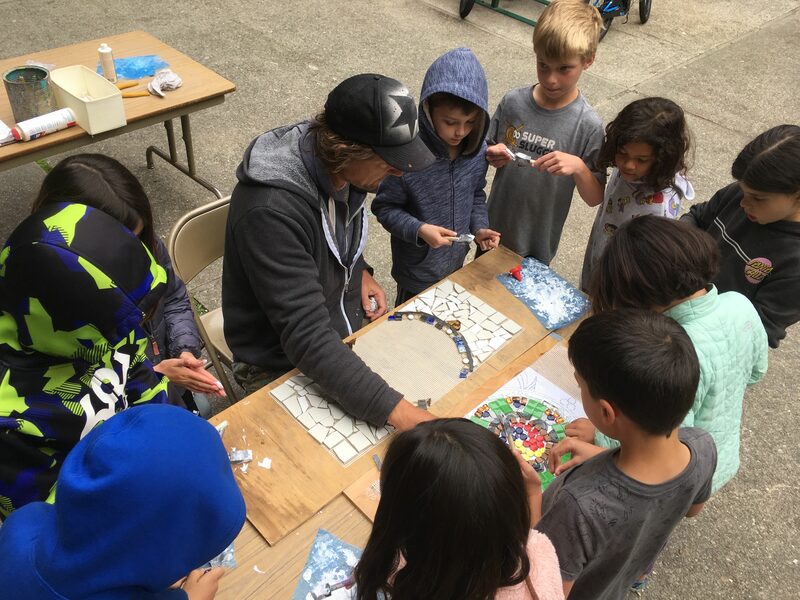 In 2017, Create Peace Project led a school wide mural project, inspired by Maya Angalou’s famous quote: “be the rainbow in someone else’s cloud” Students were invited to share drawings of images that reflected this quote and were part of creating a large-scale nature mural that was painted on the upper yard in the school. 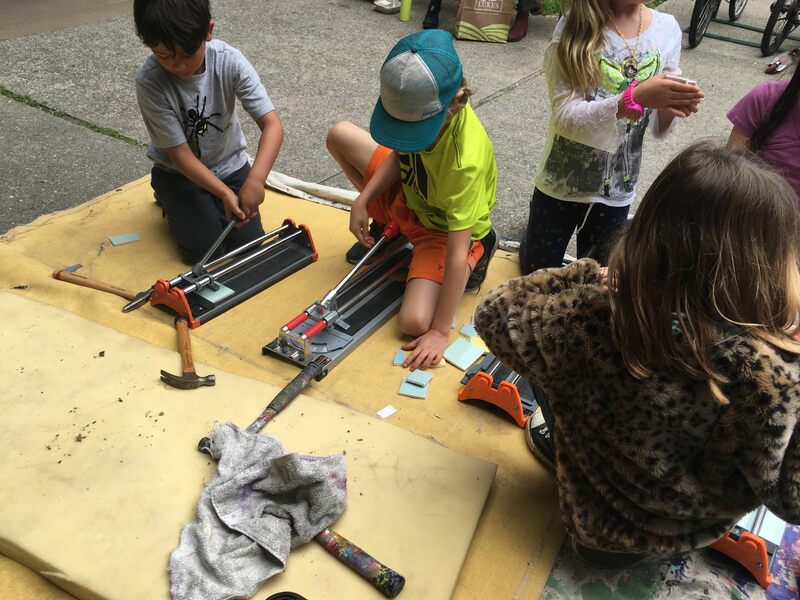 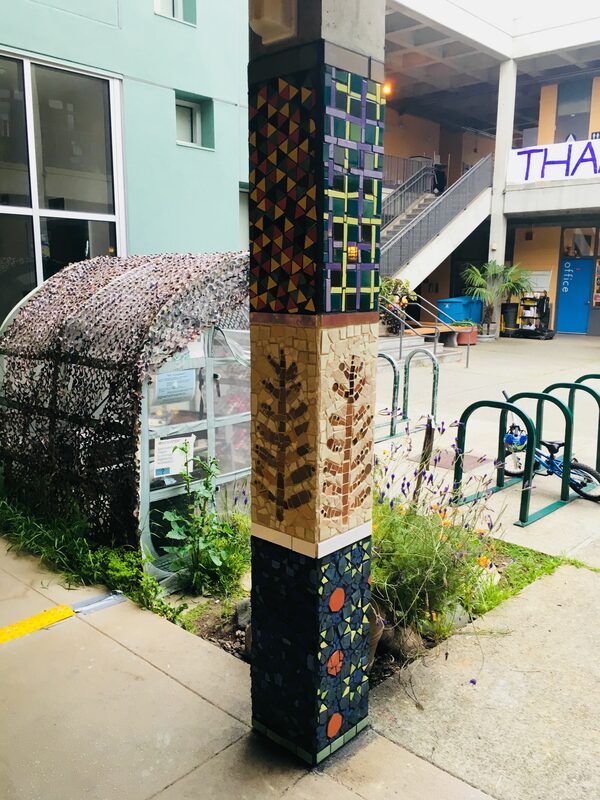 The 1,200 sqft mural is filled with inspring and uplifting imagery including a rainbow full of quotes, a beautiful blue butterfly, a hummingbird, bees and their bee hive, a tree, a hawk, raven, redwoods, and children playing. 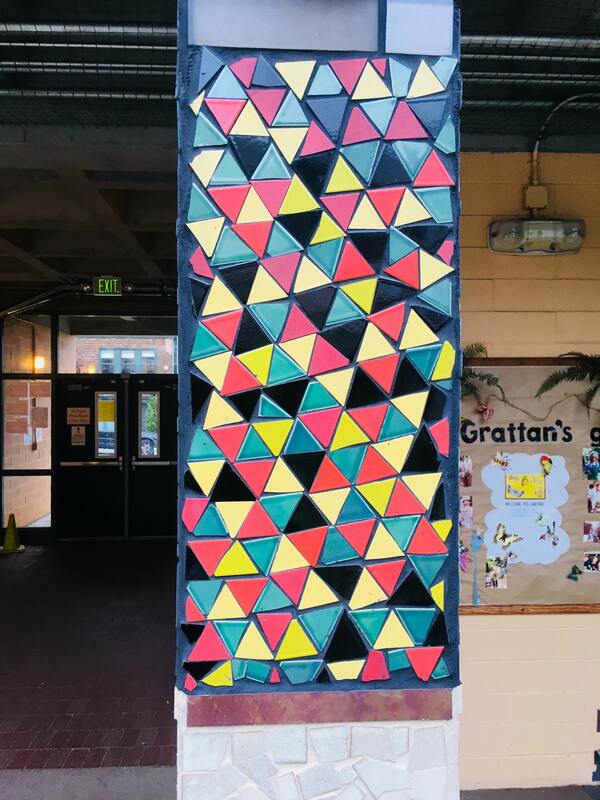 The collaboration included all 400+ students from grades K-5 and took 4 weeks to paint. 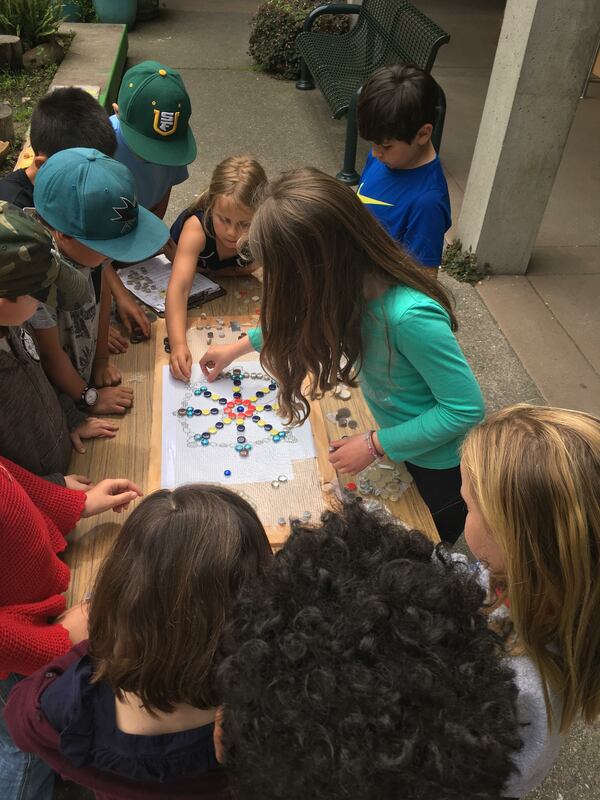 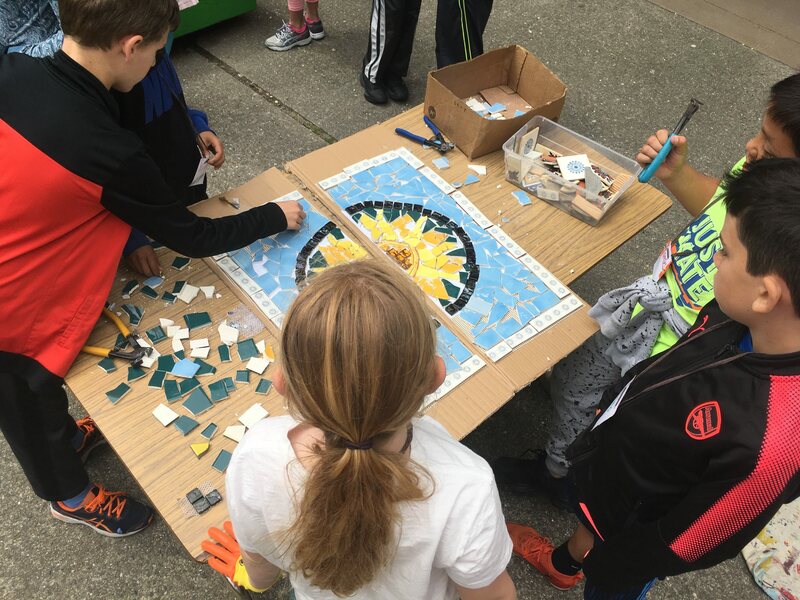 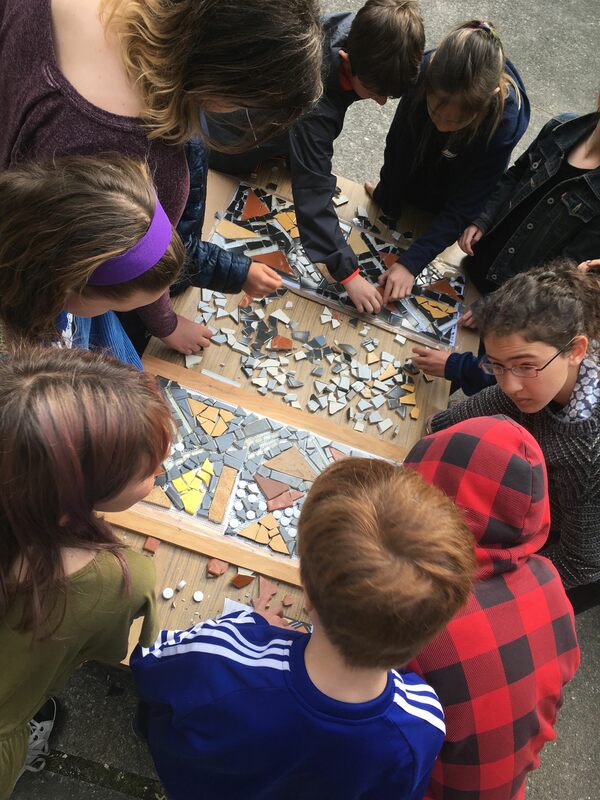 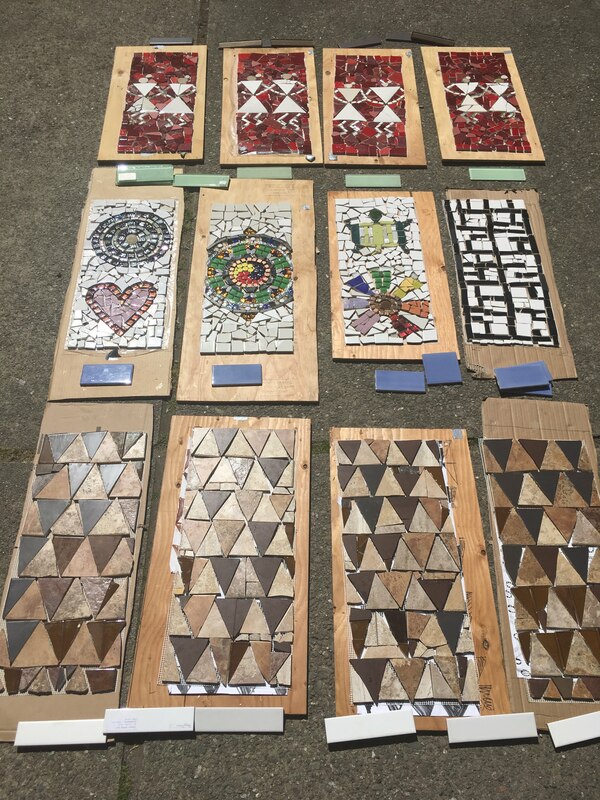 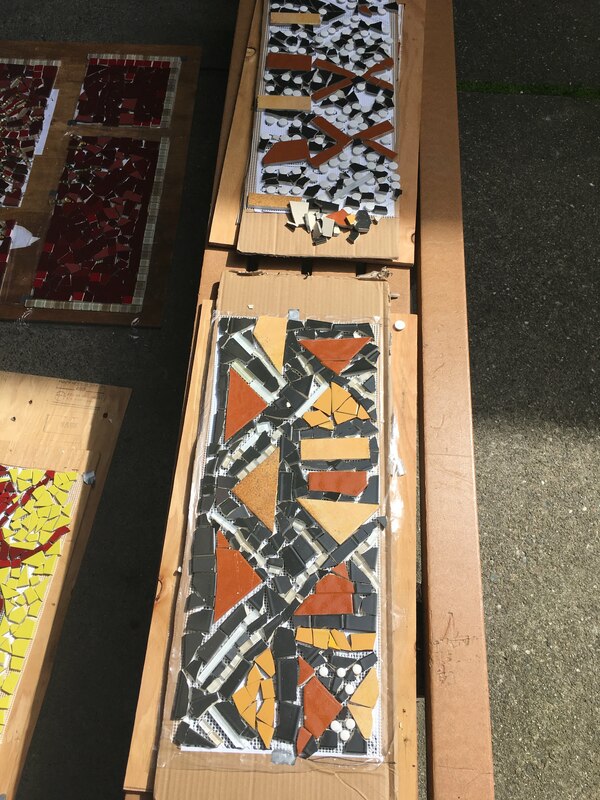 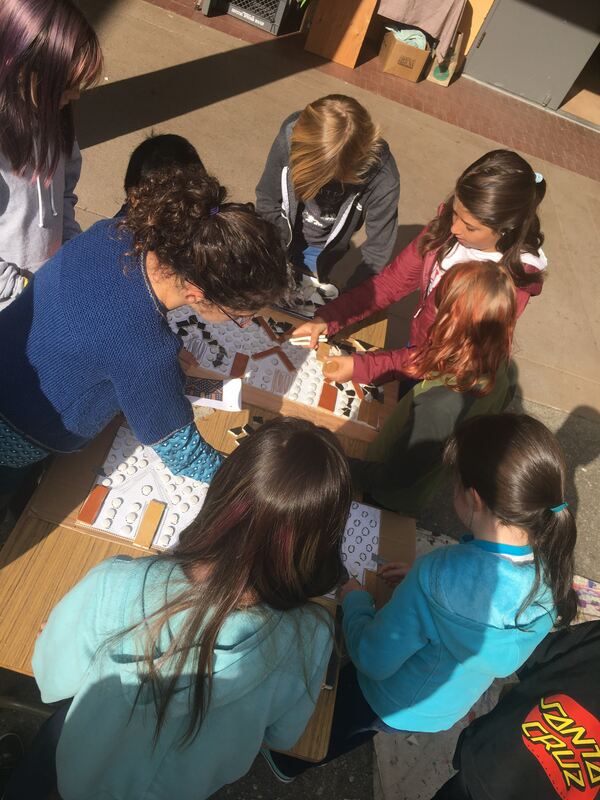 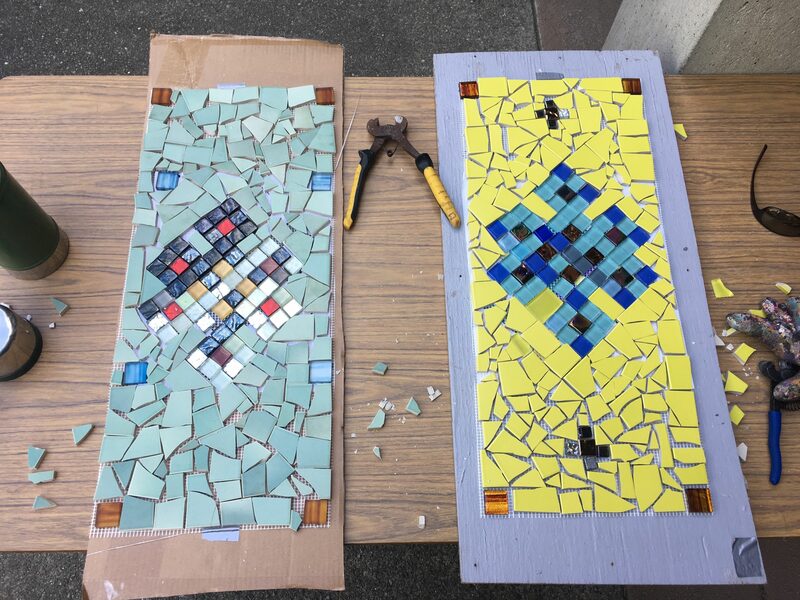 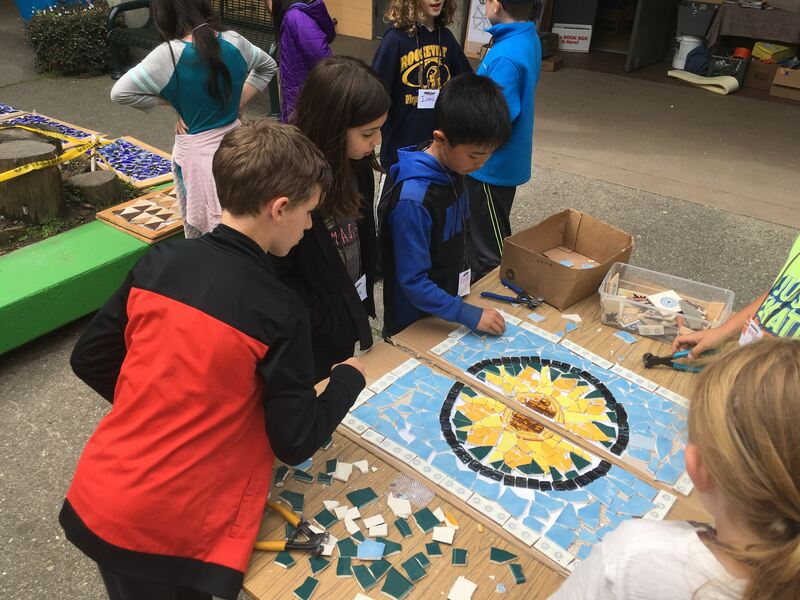 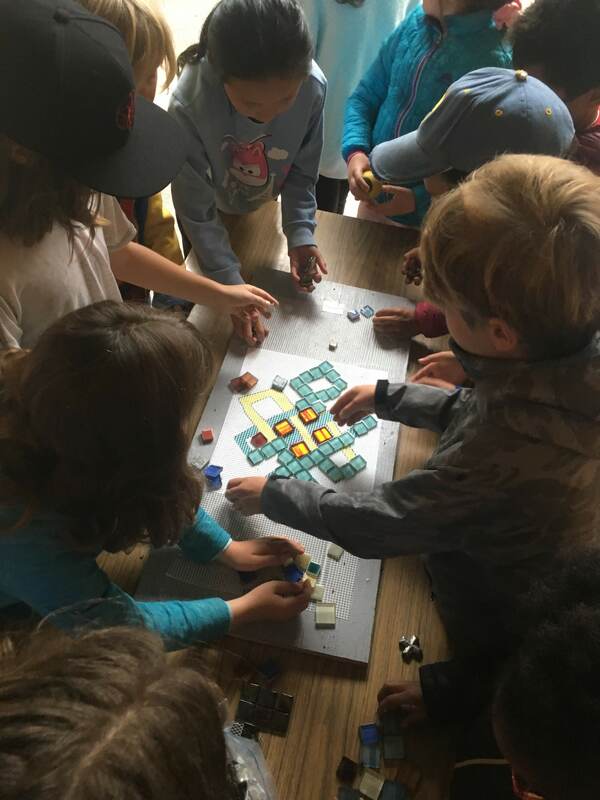 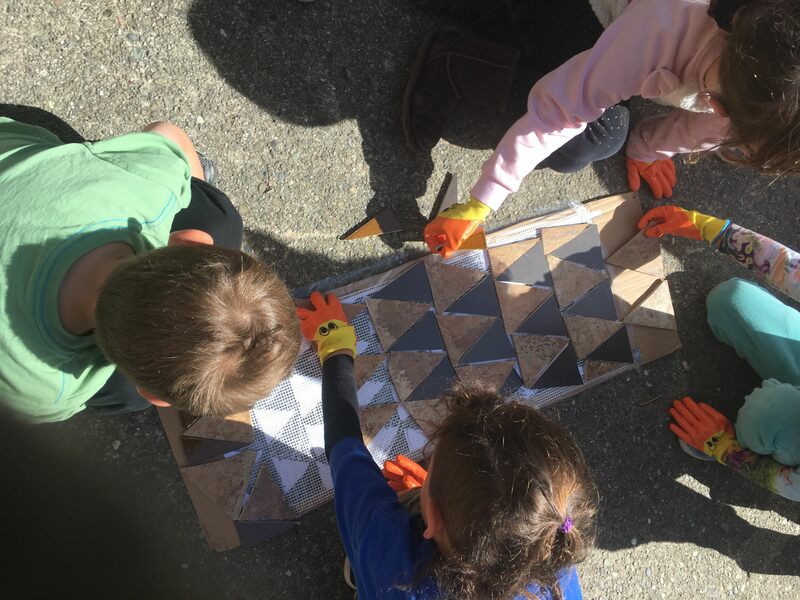 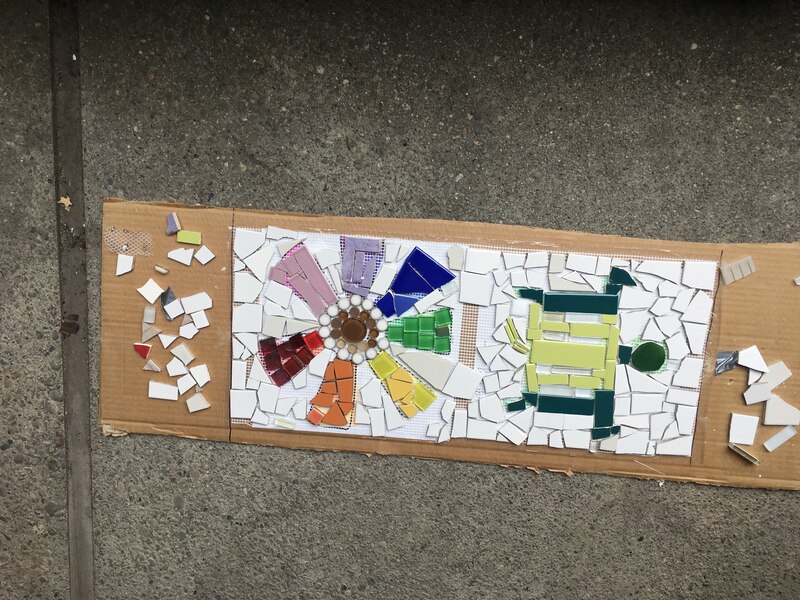 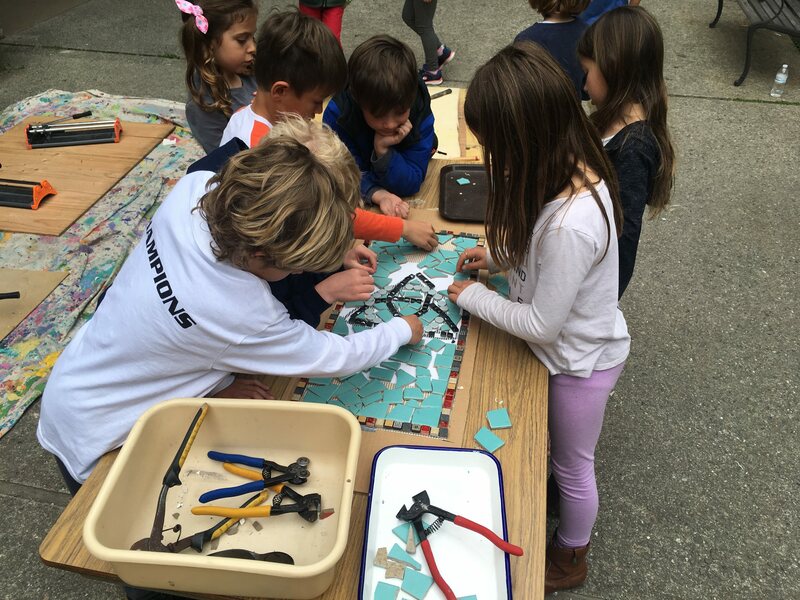 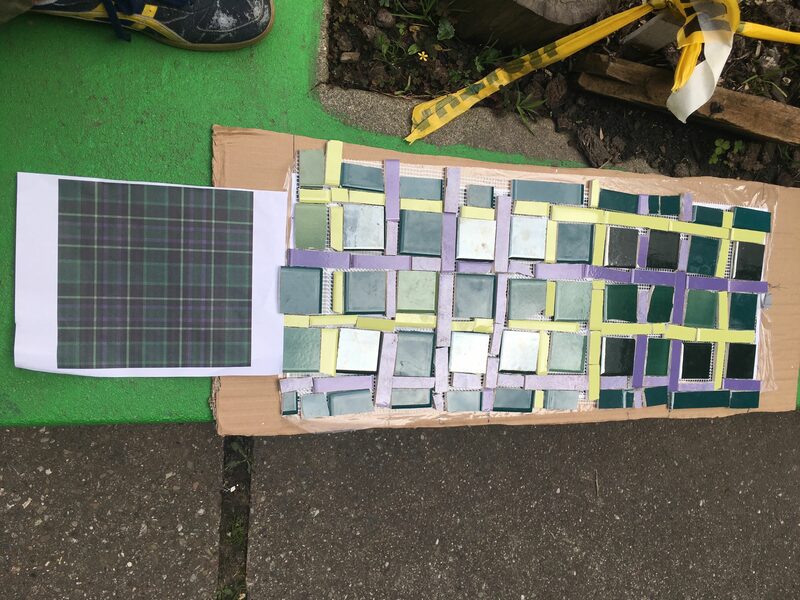 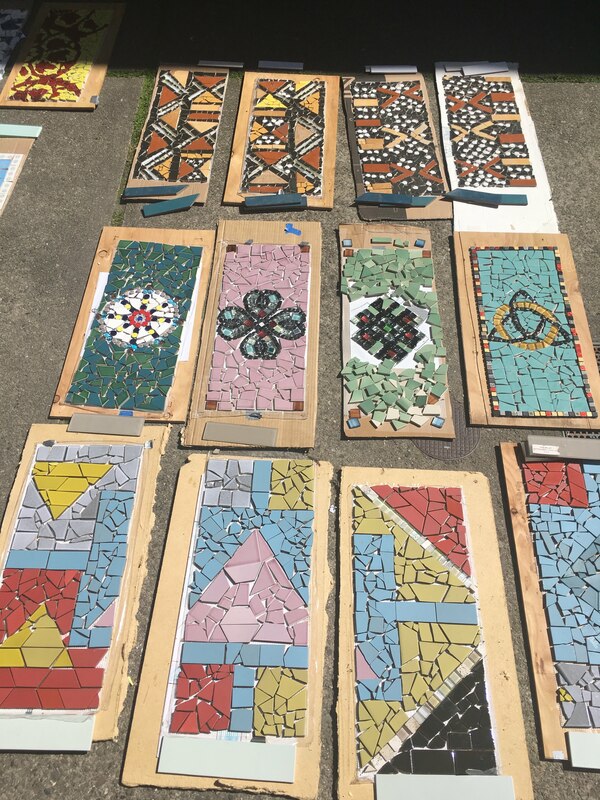 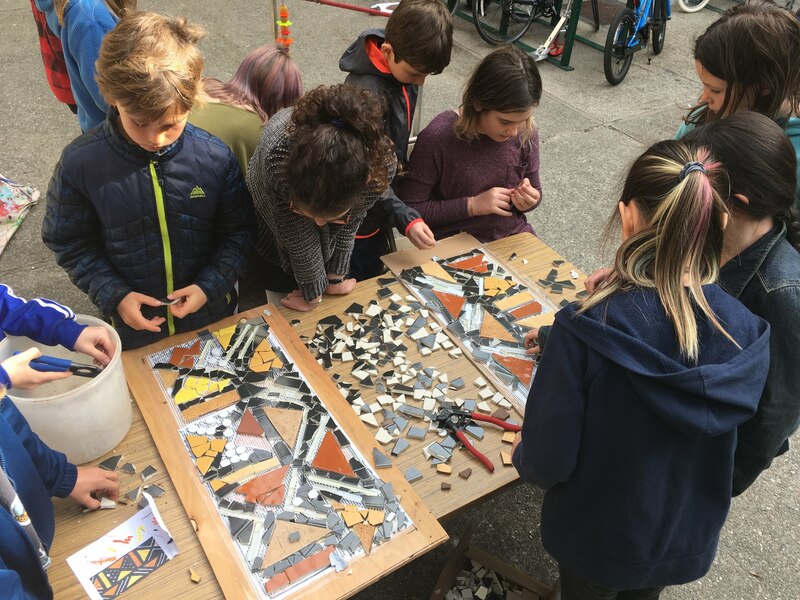 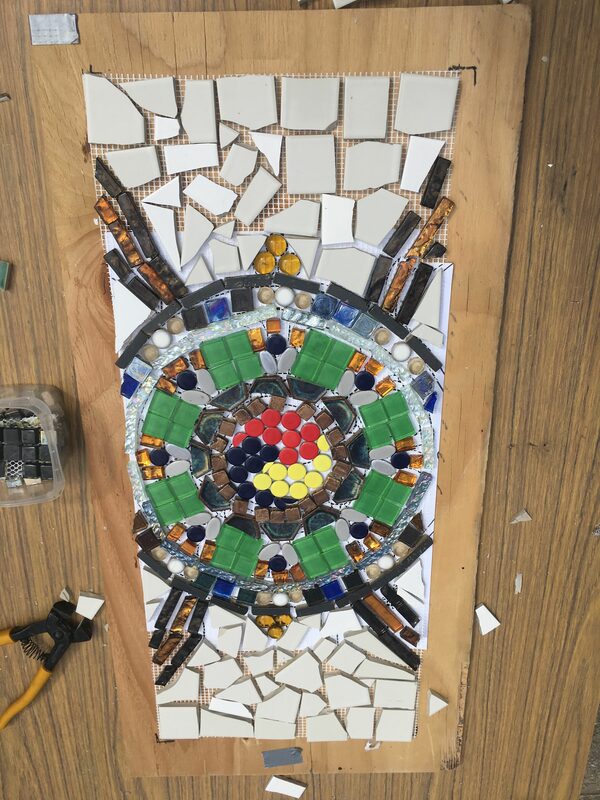 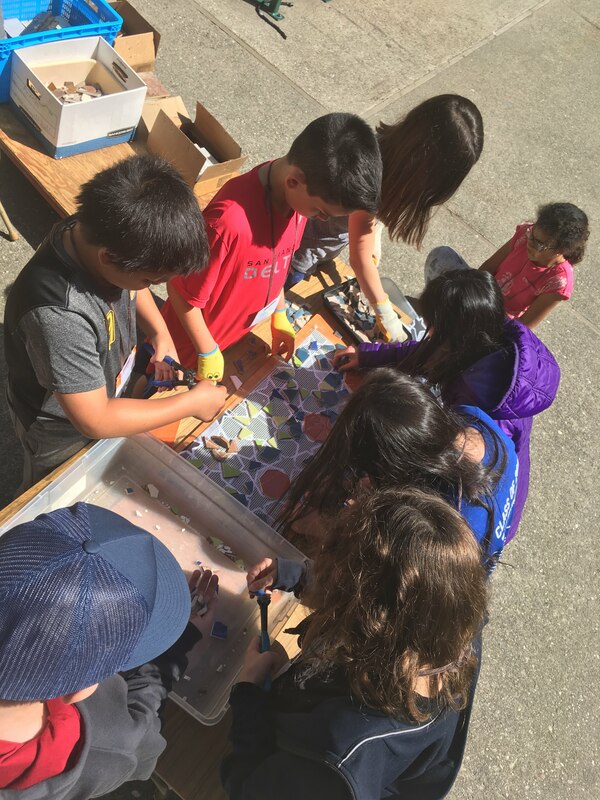 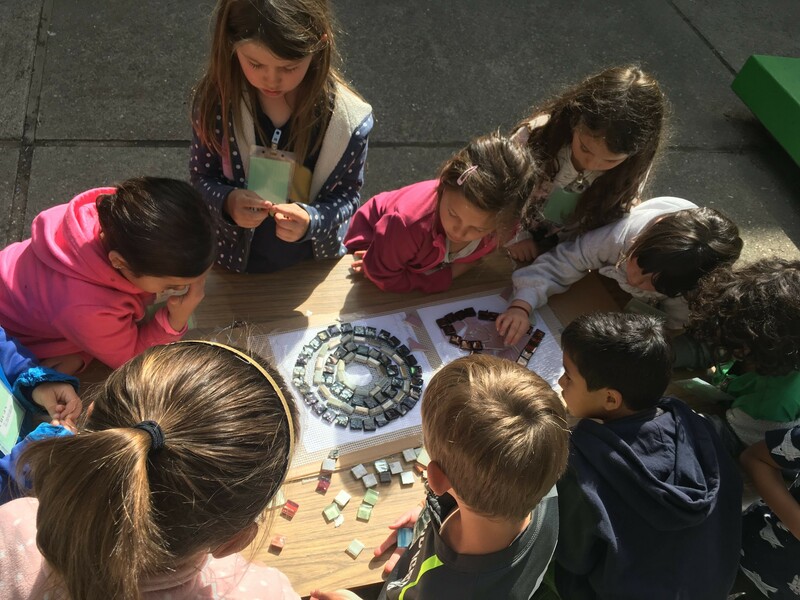 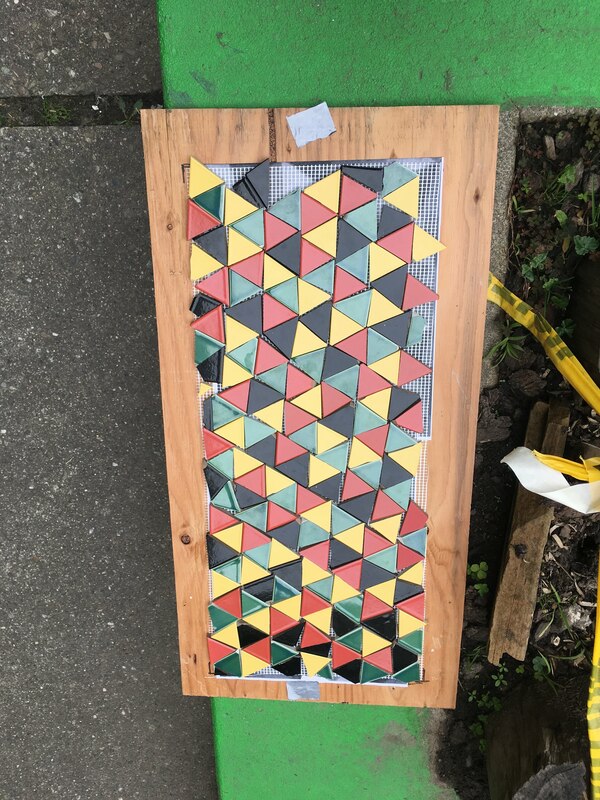 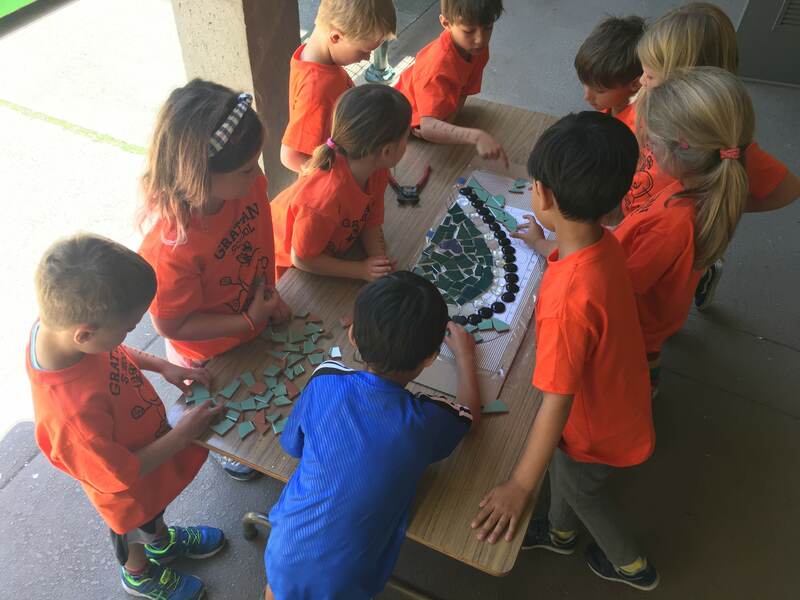 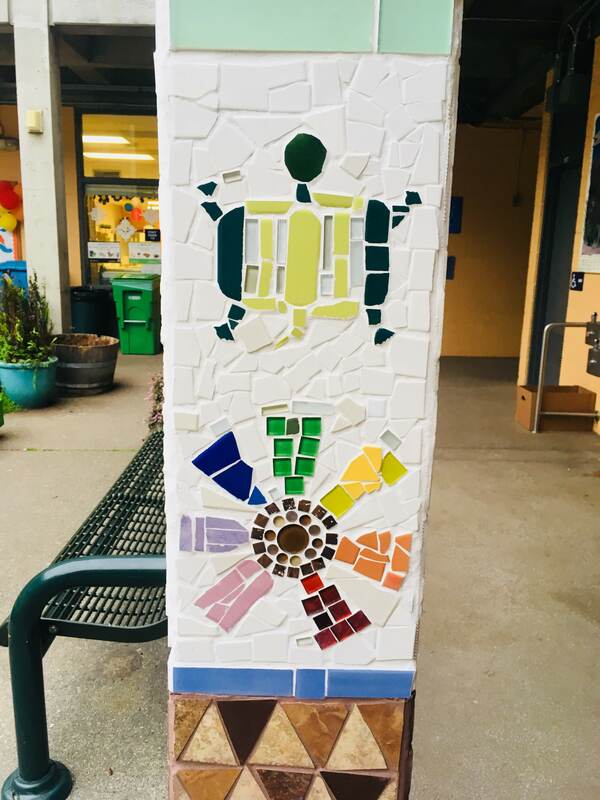 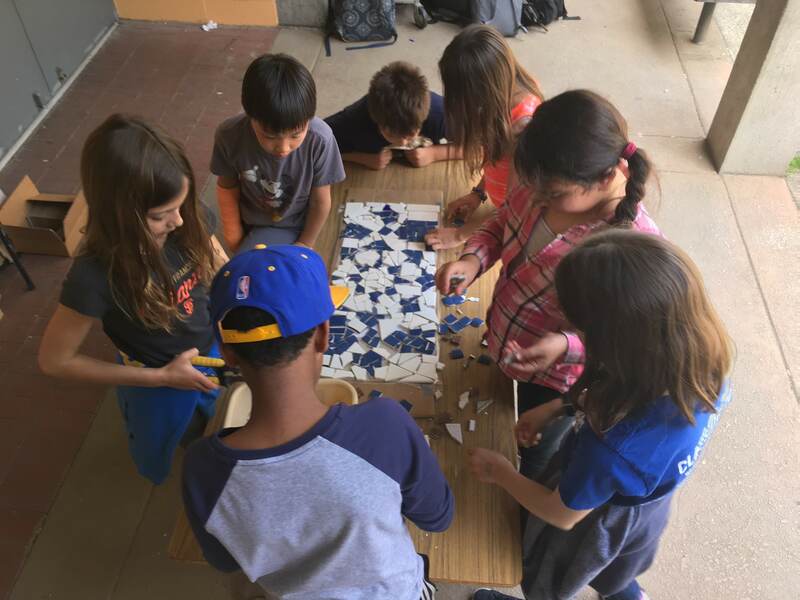 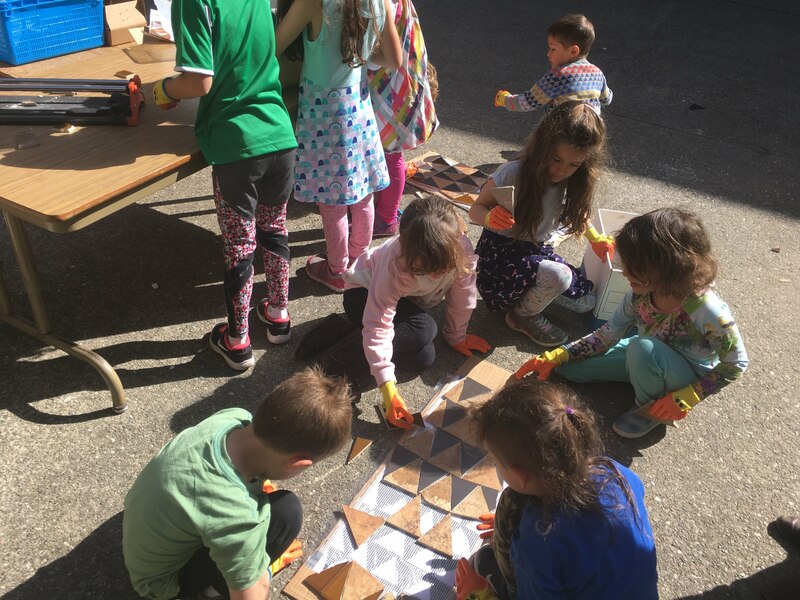 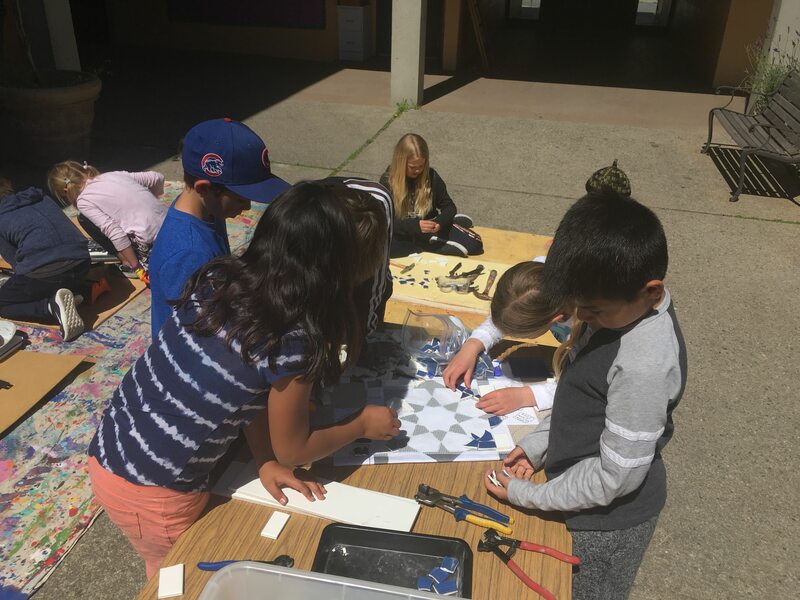 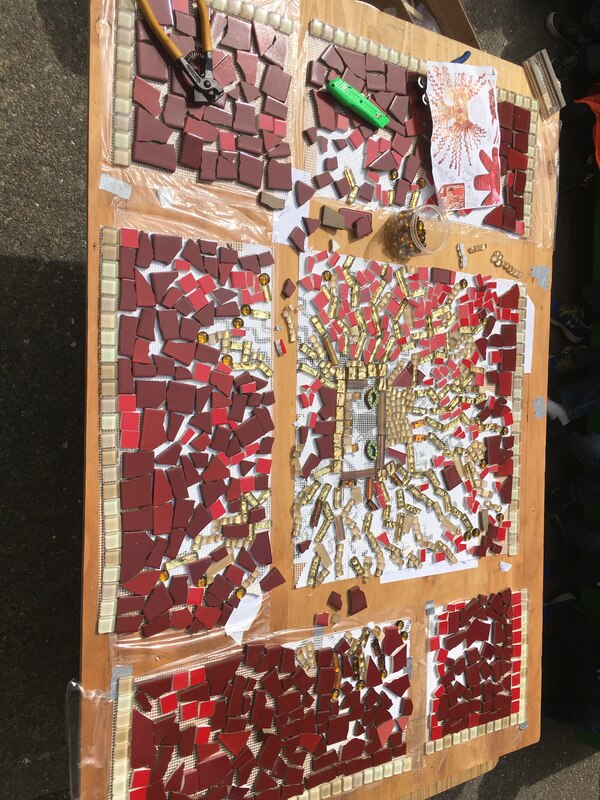 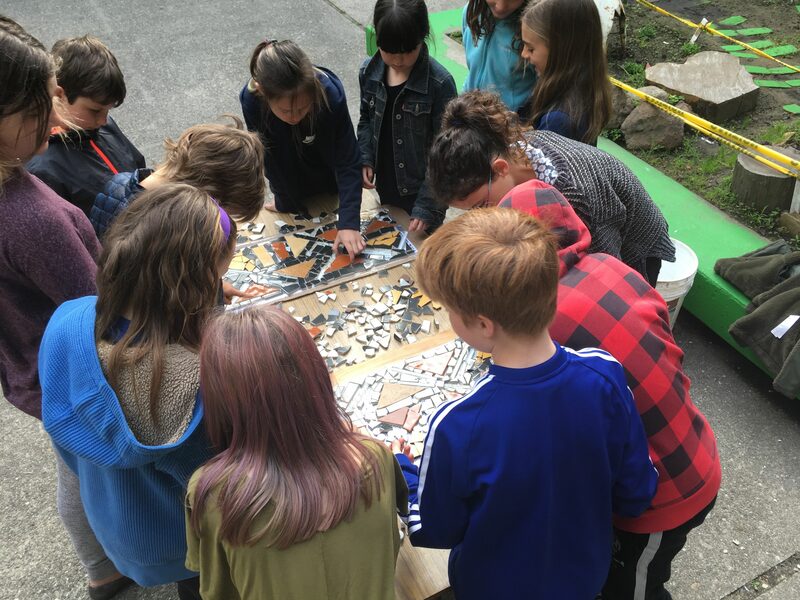 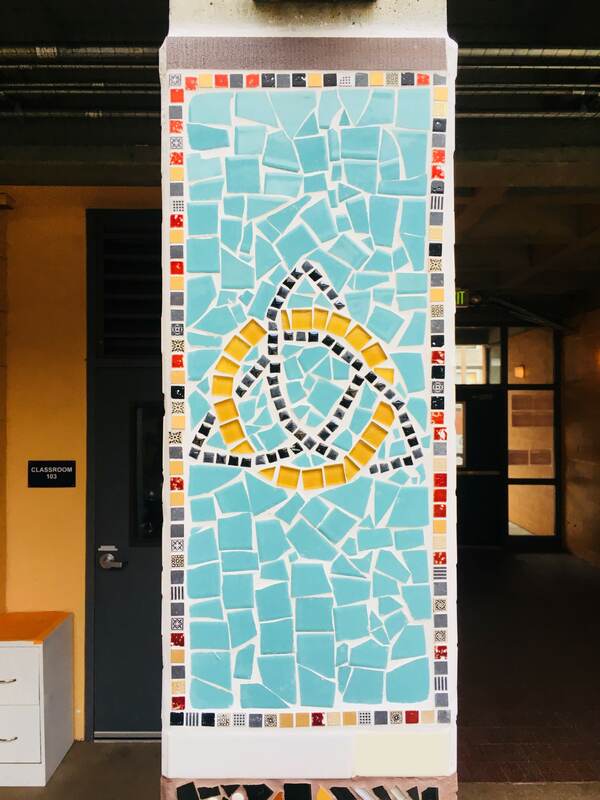 In 2018, we led another school-wide collaboration, this time creating a series of cultural patterns in mosaic. 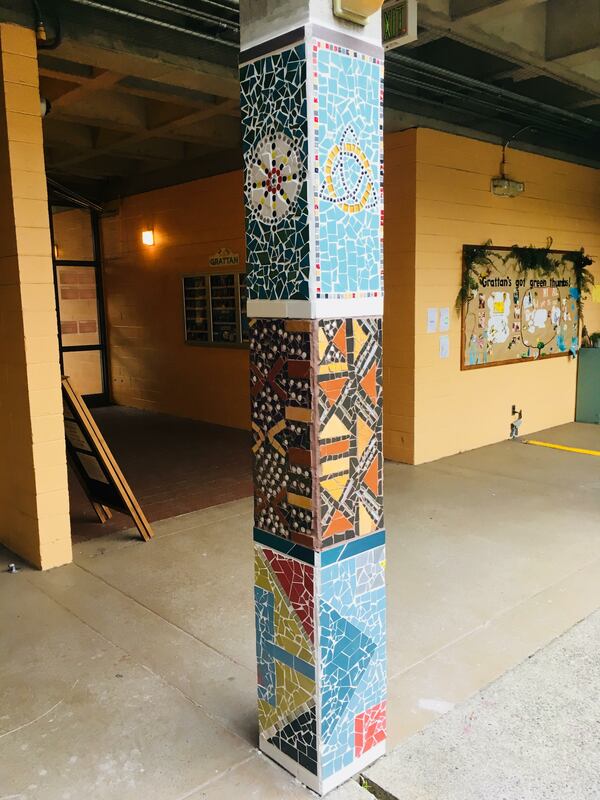 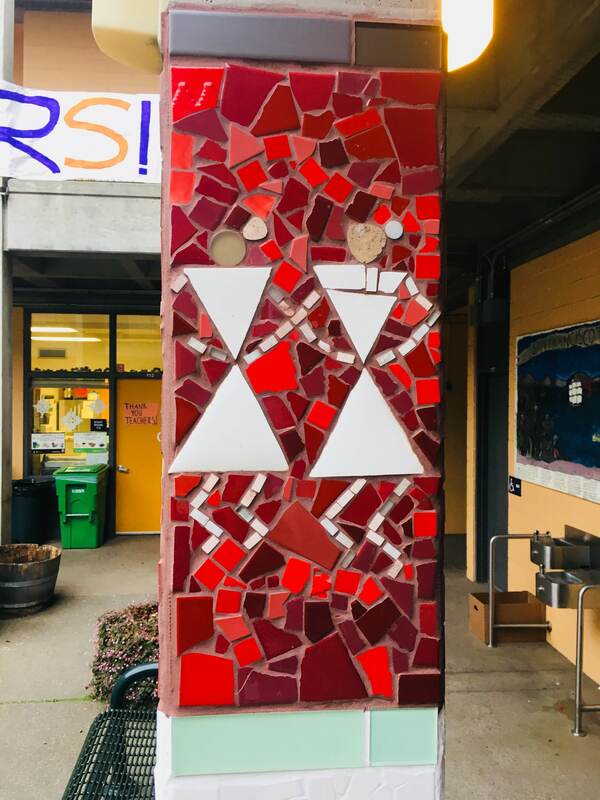 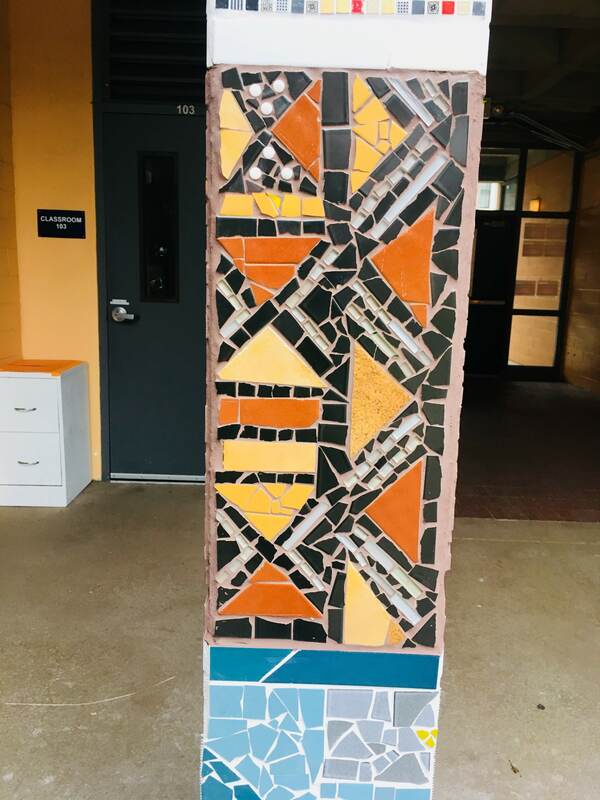 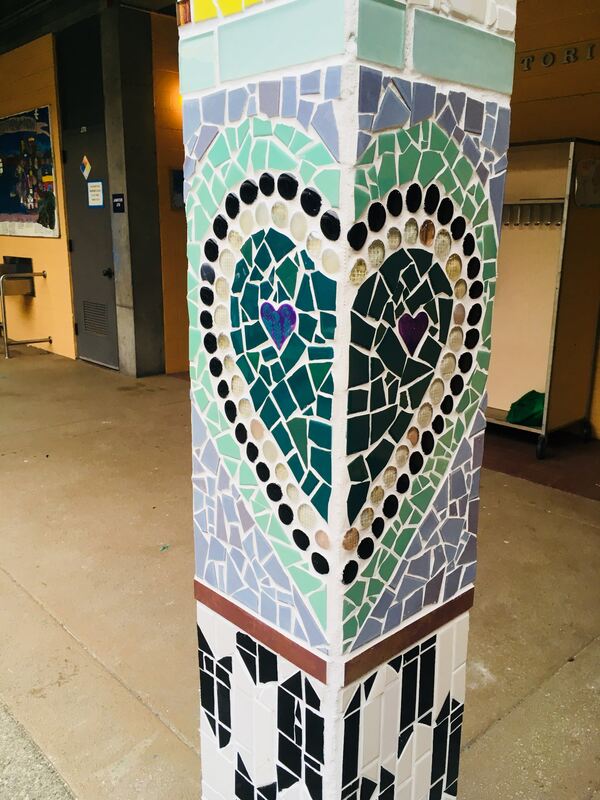 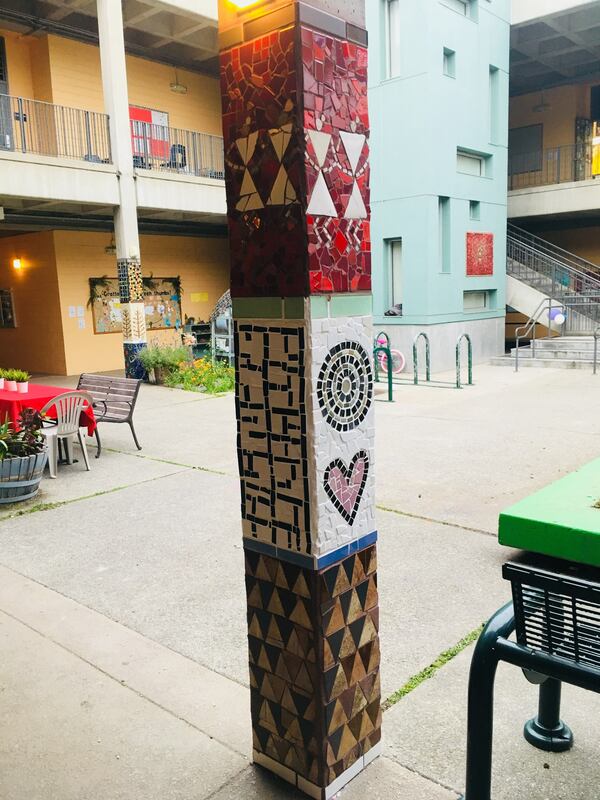 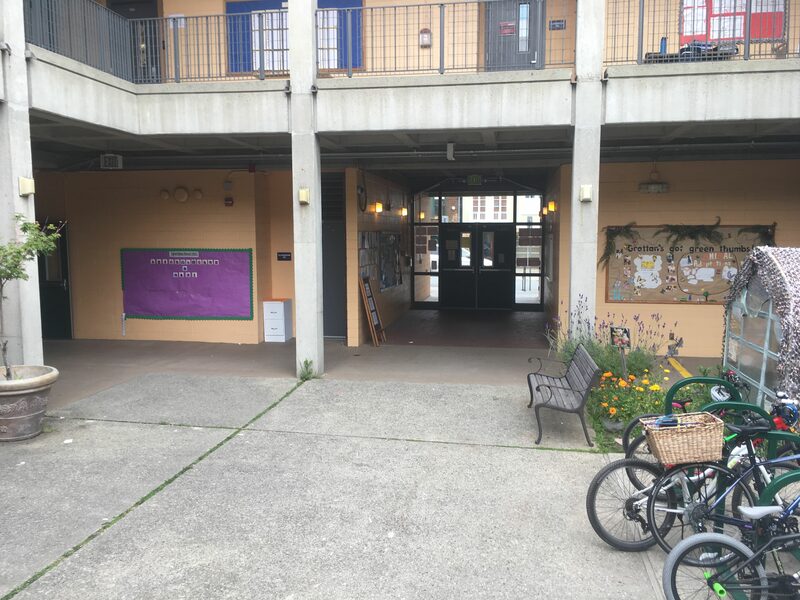 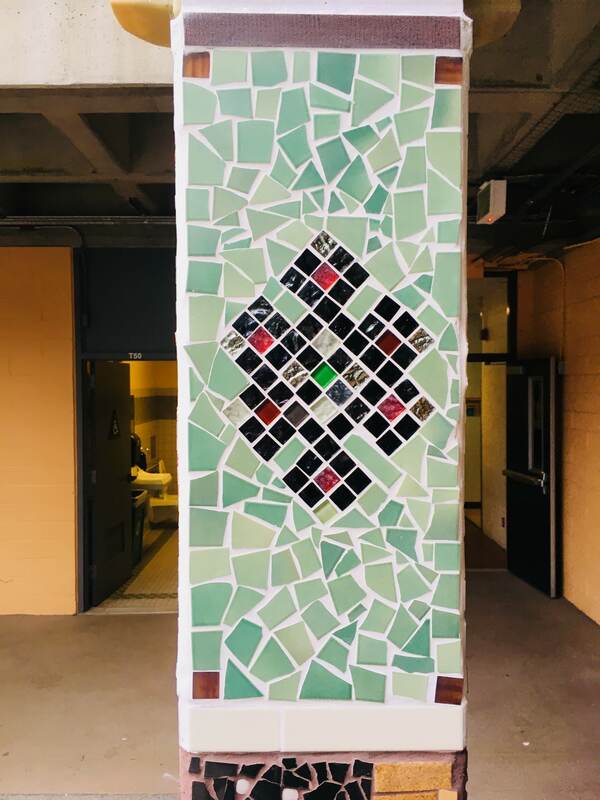 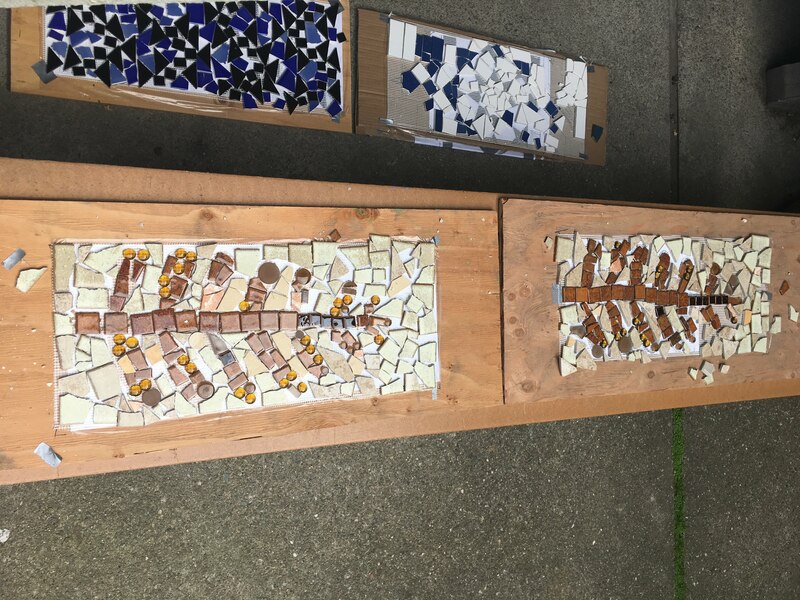 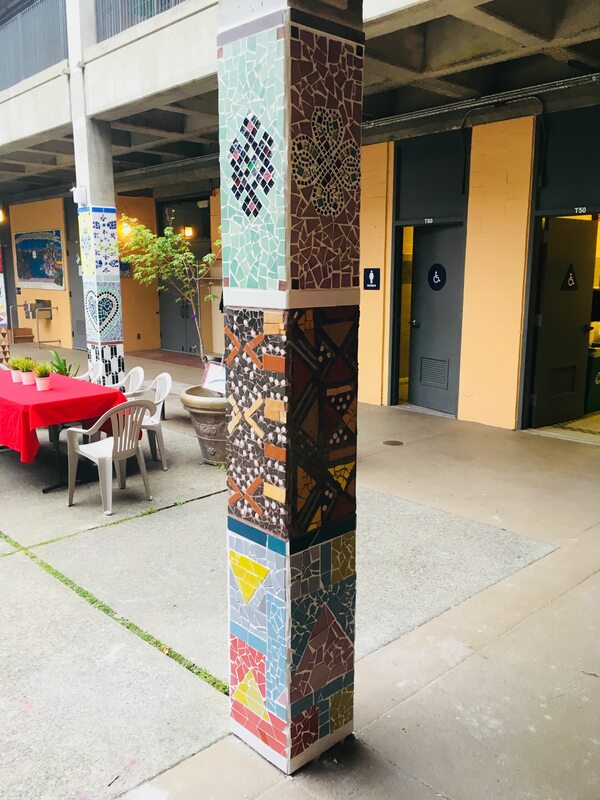 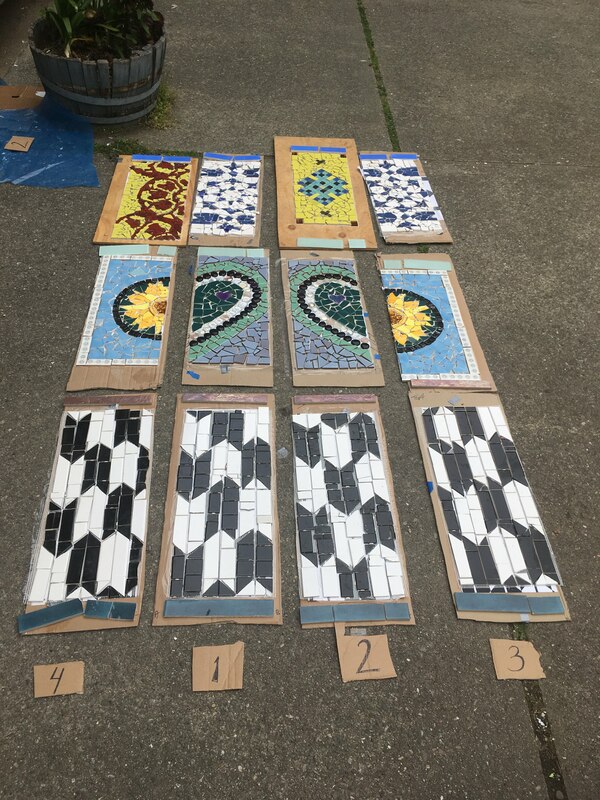 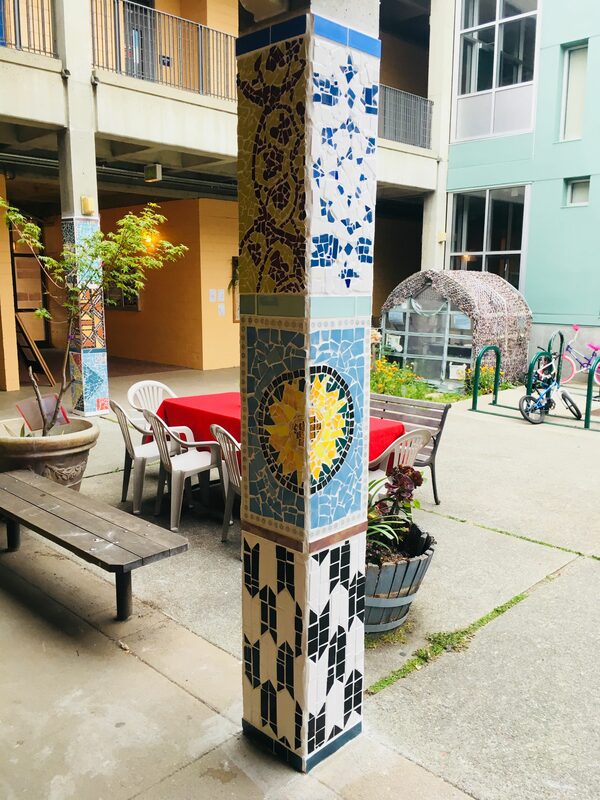 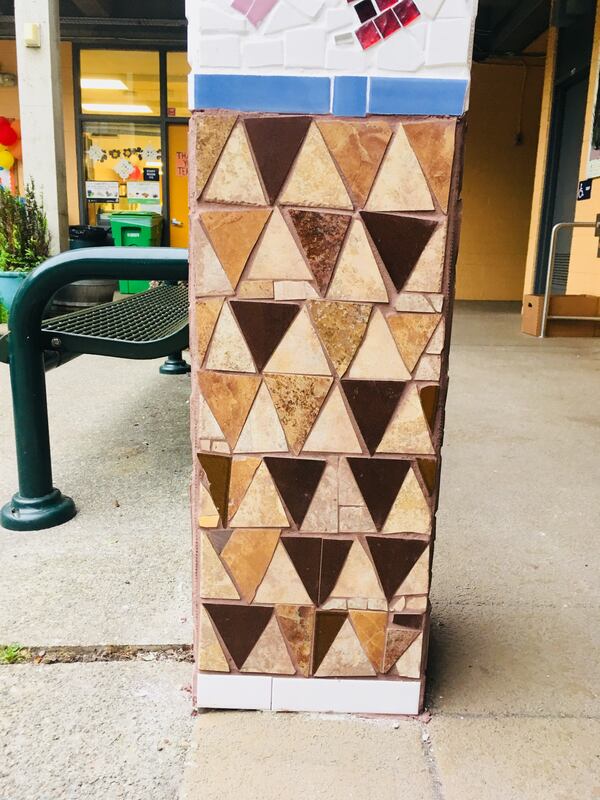 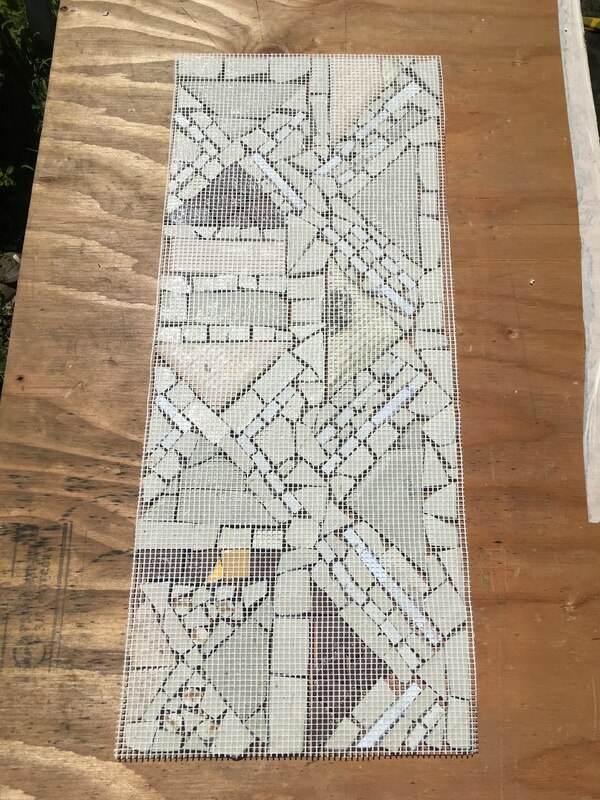 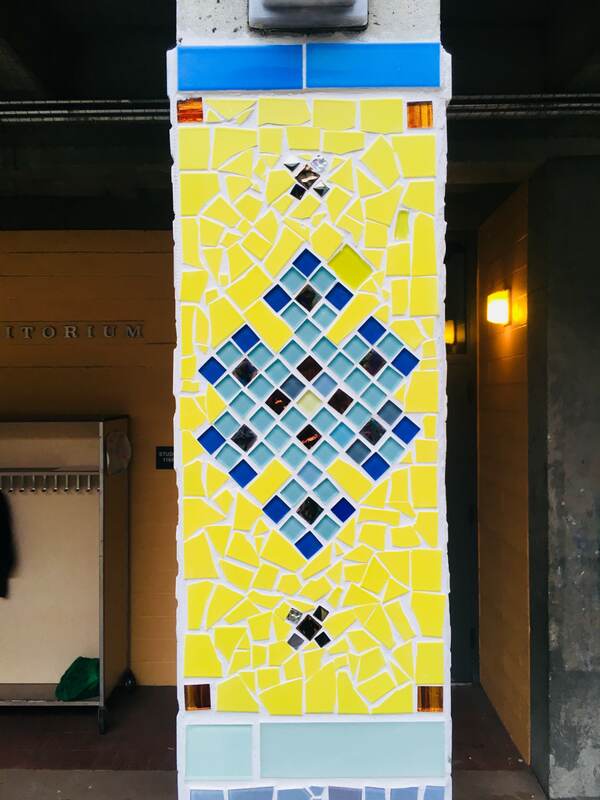 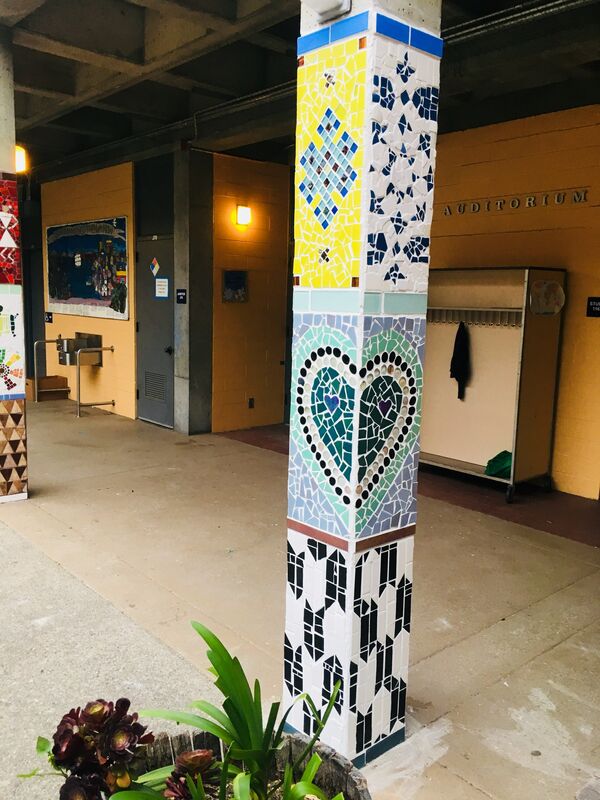 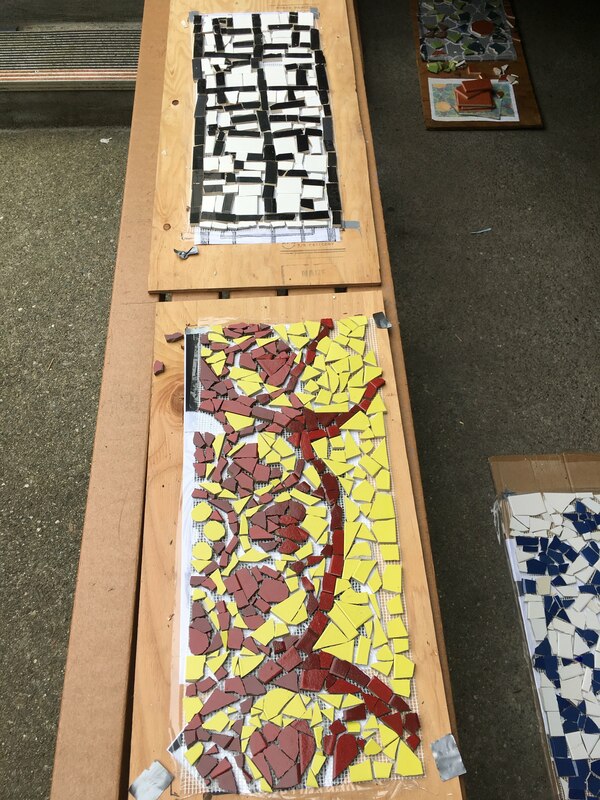 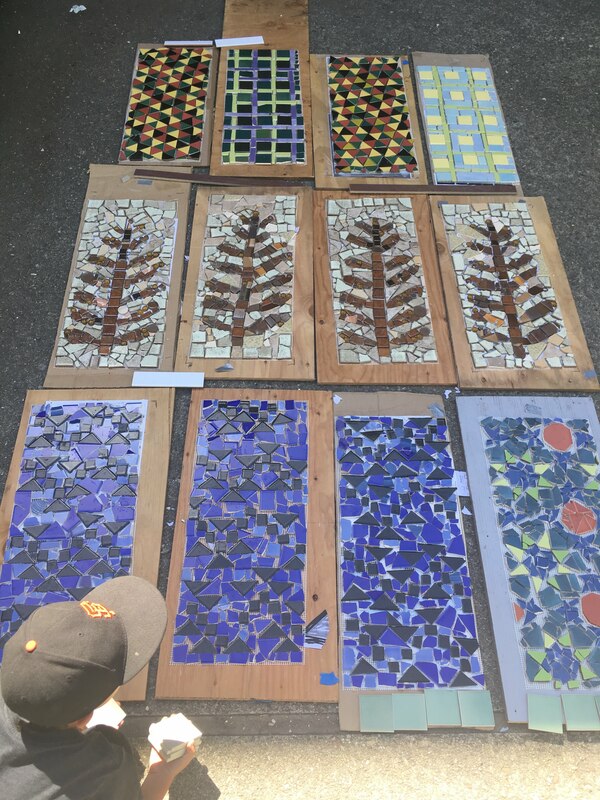 The mosaic sections we made in 12” x 32” panels, and were installed on the concrete pillars in the open-air courtyard at the entrance and center of the school. 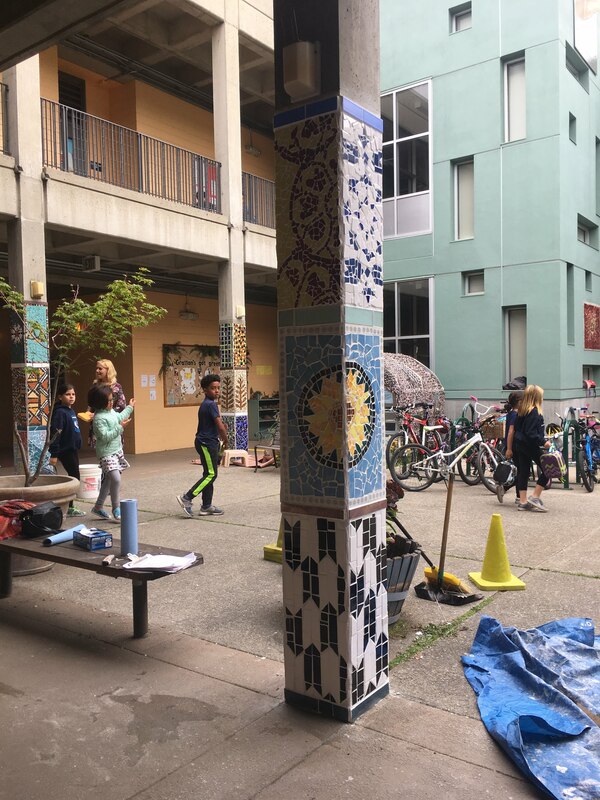 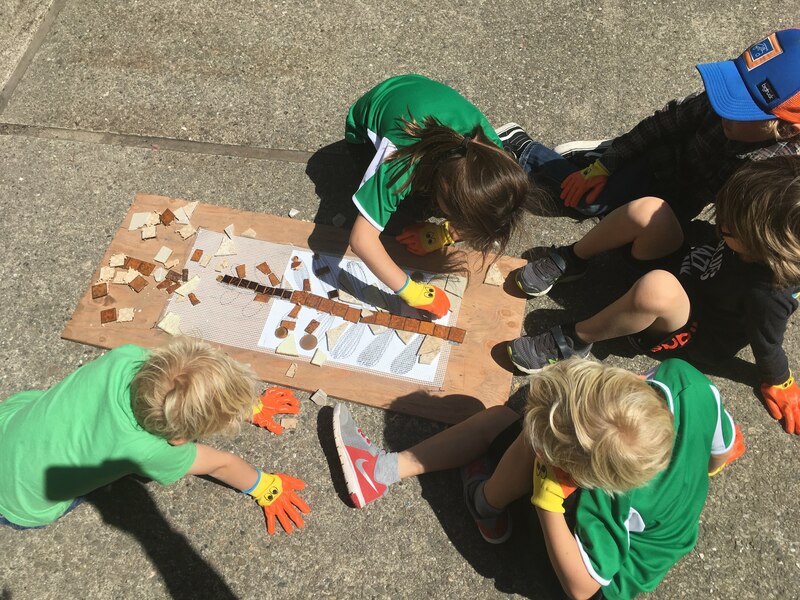 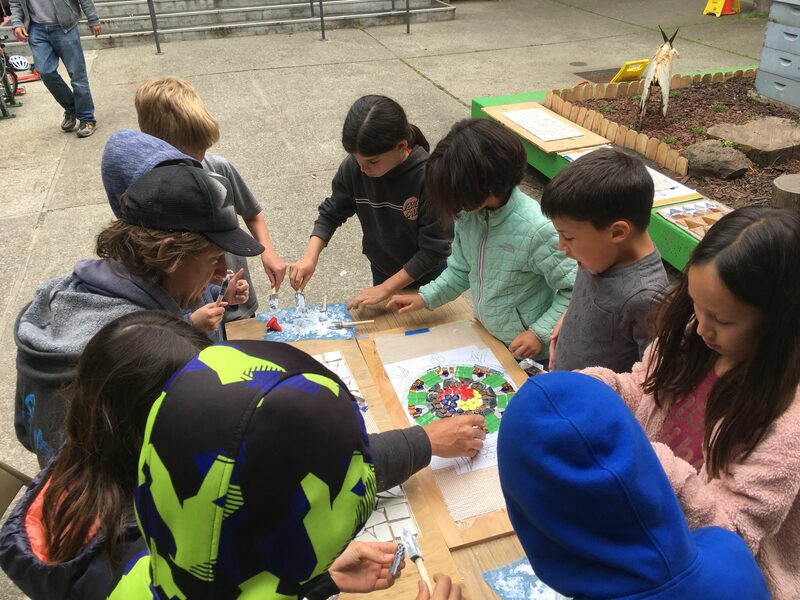 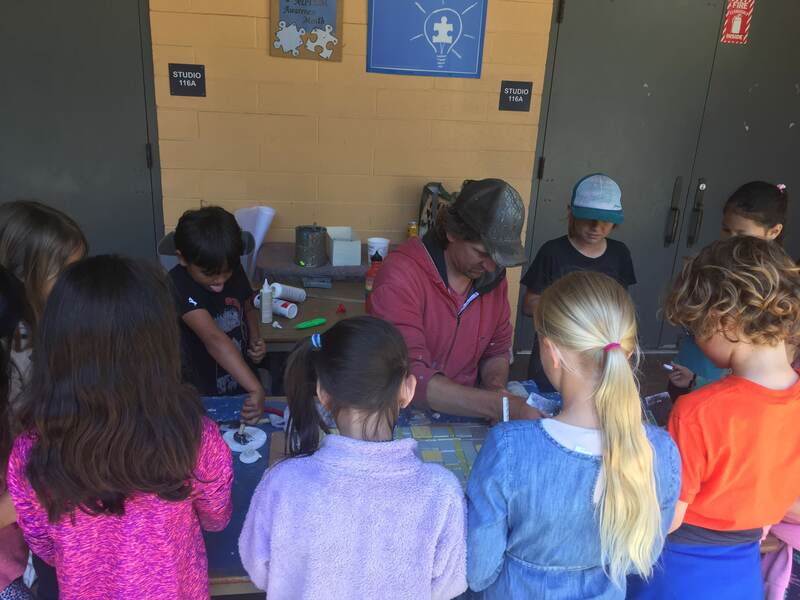 Using the input of the classrooms and the students, cultural patterns were selected to compliment the existing classroom work, and reflected the cultures being learned about, including: Ohlone (the local native American tribe) Indian, West African and Ghanaian, Tibetan, Chinese, Adinkra and more. 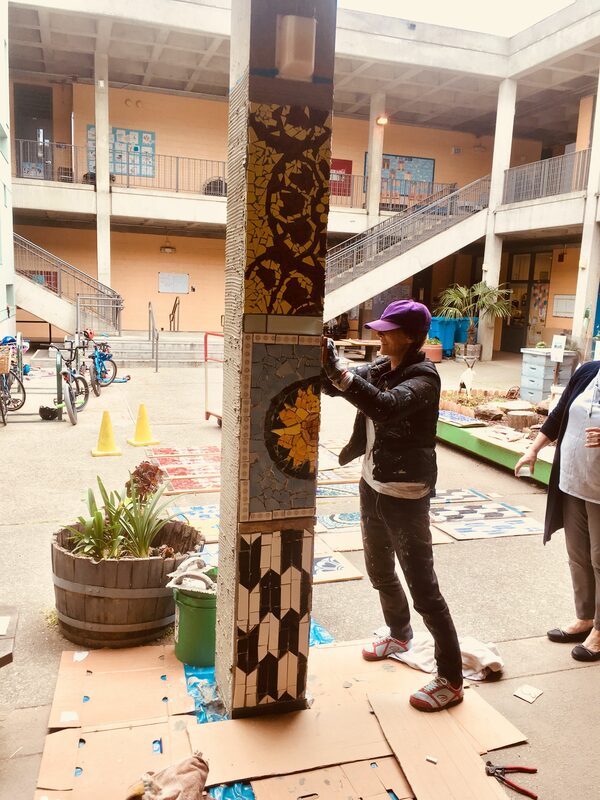 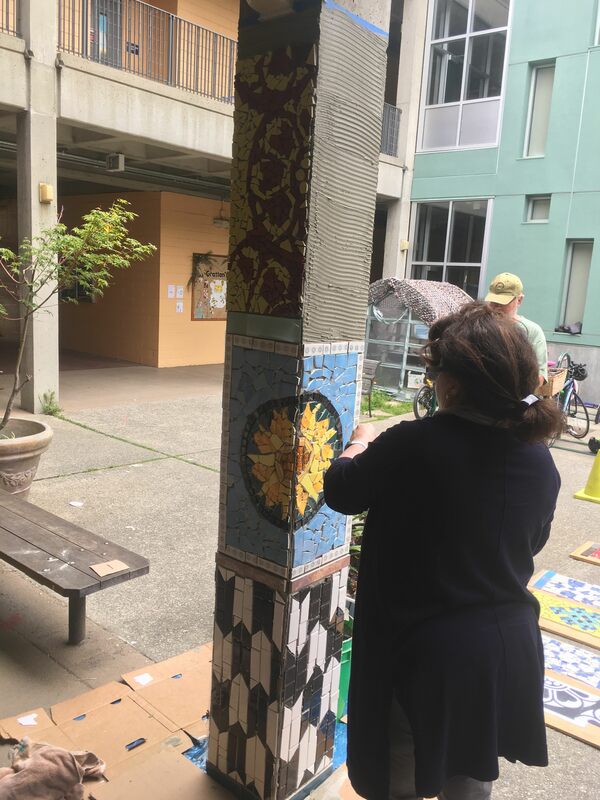 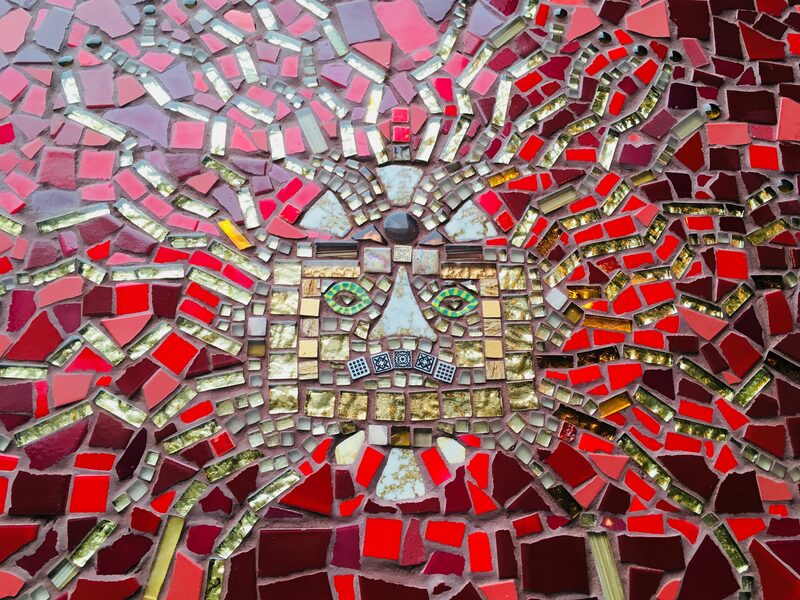 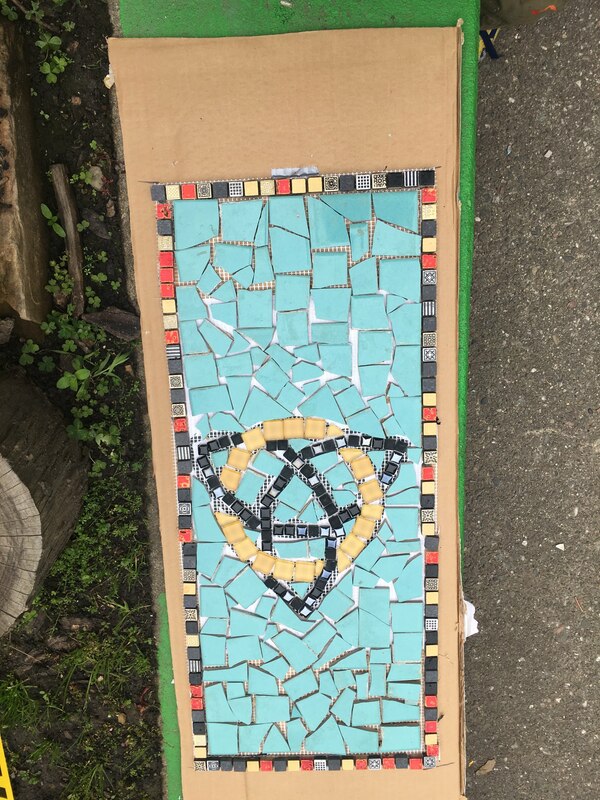 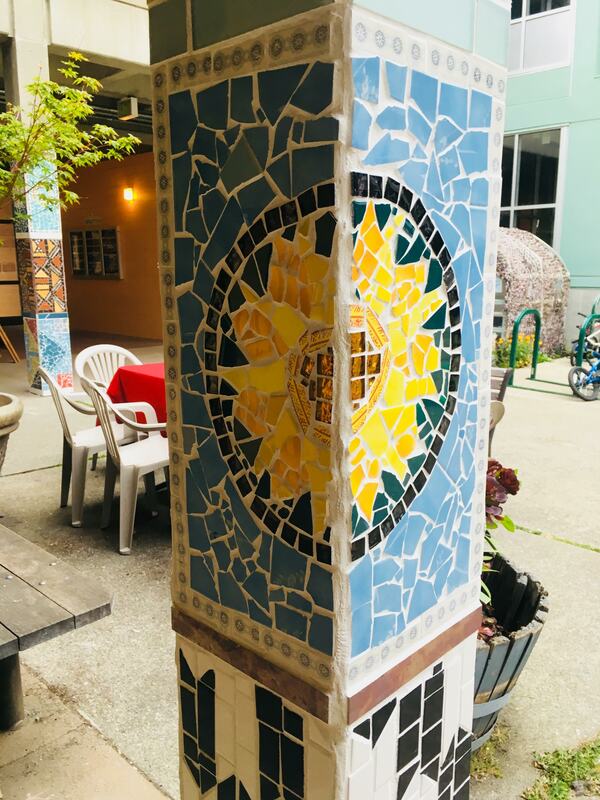 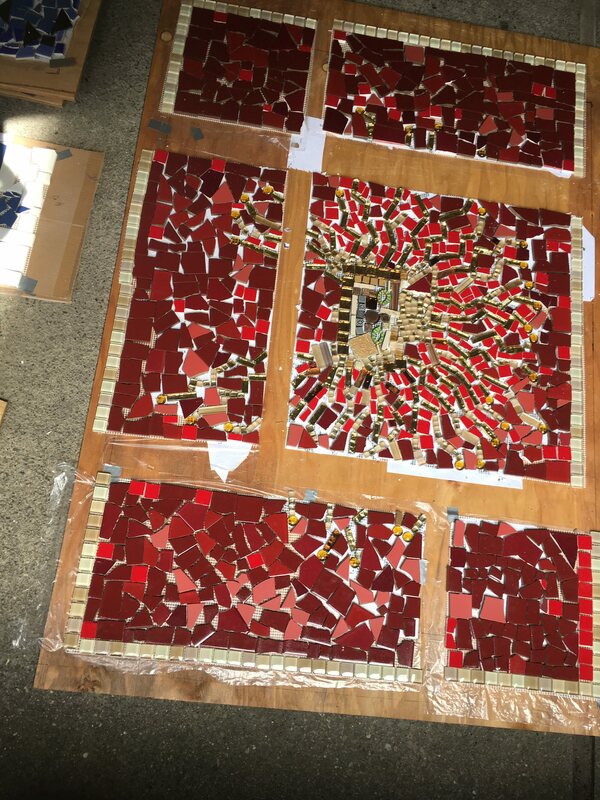 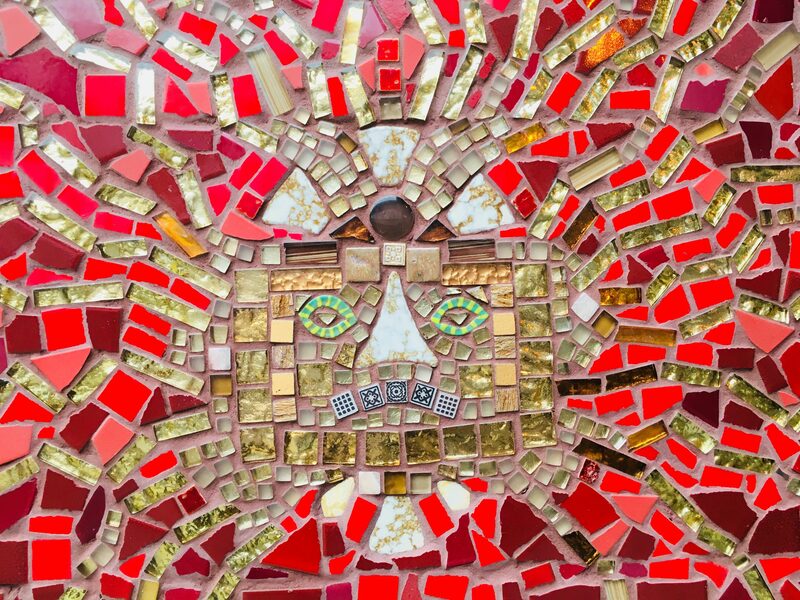 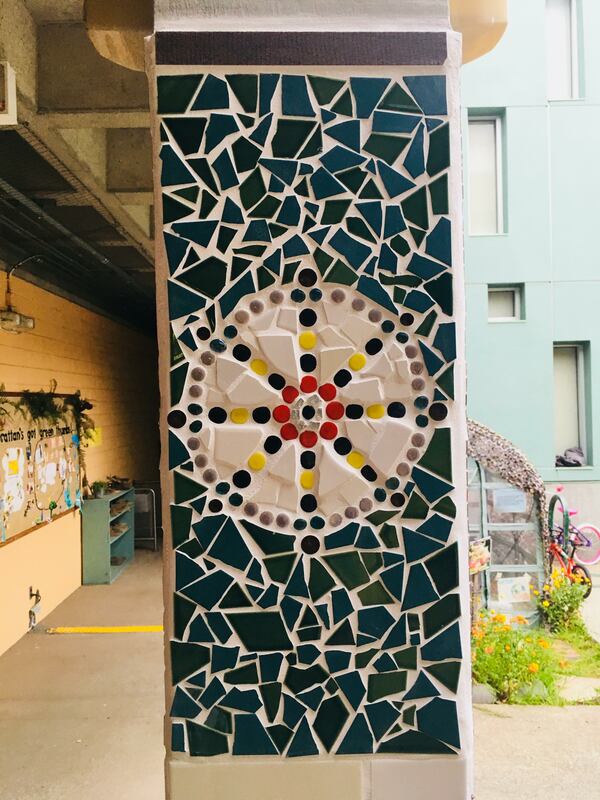 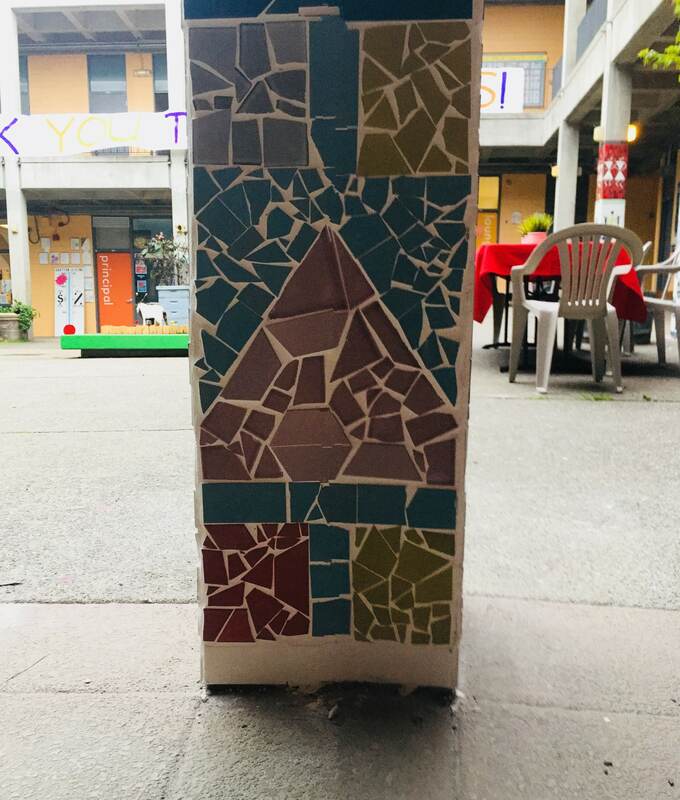 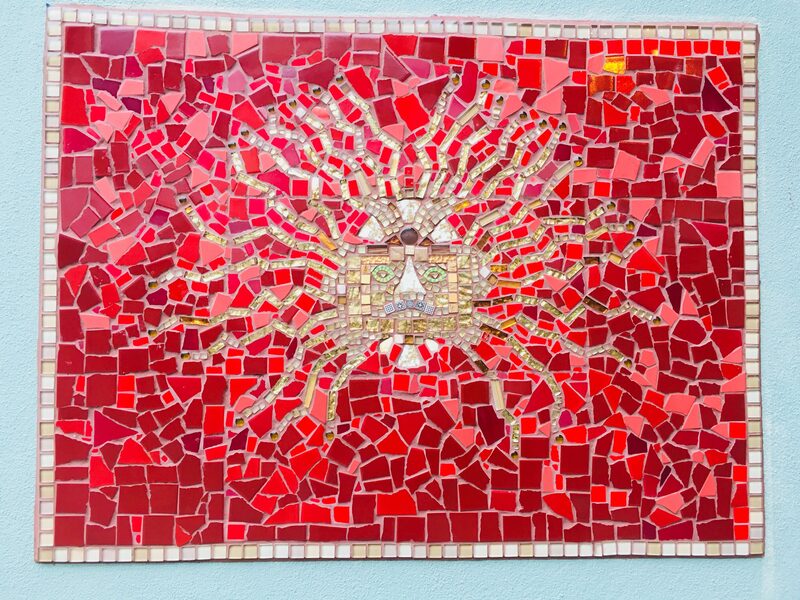 Our mosaic work covered more than 150 sqft of wall space, including 4 pillars in the courtyard, and an amazing Incan Sun God, a stand-alone piece, on a vacant elevator shaft. 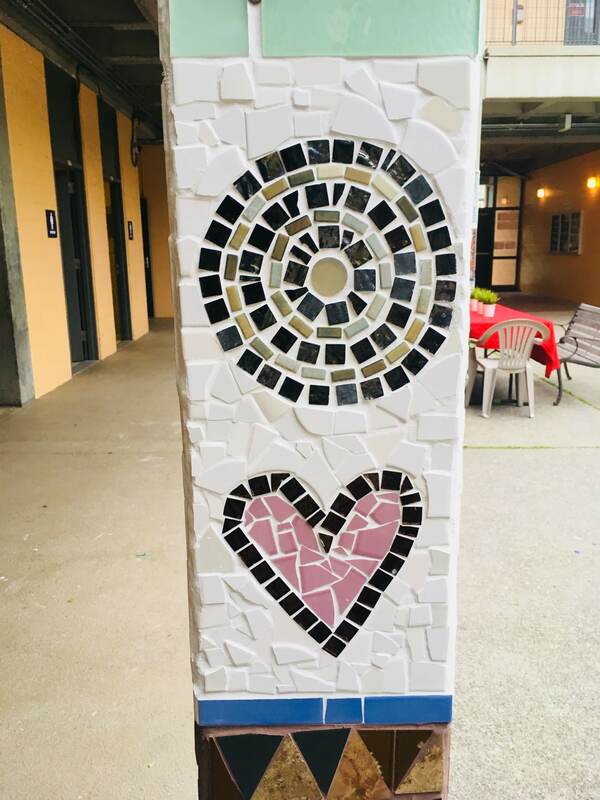 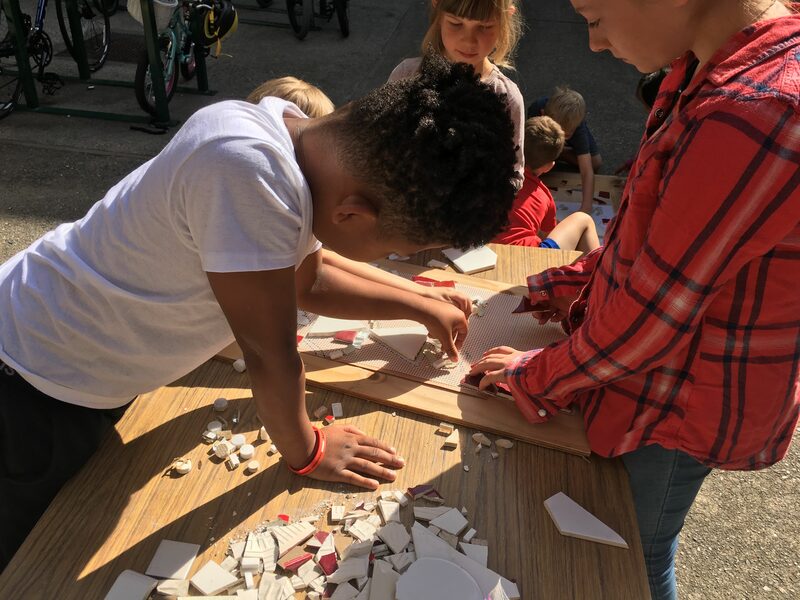 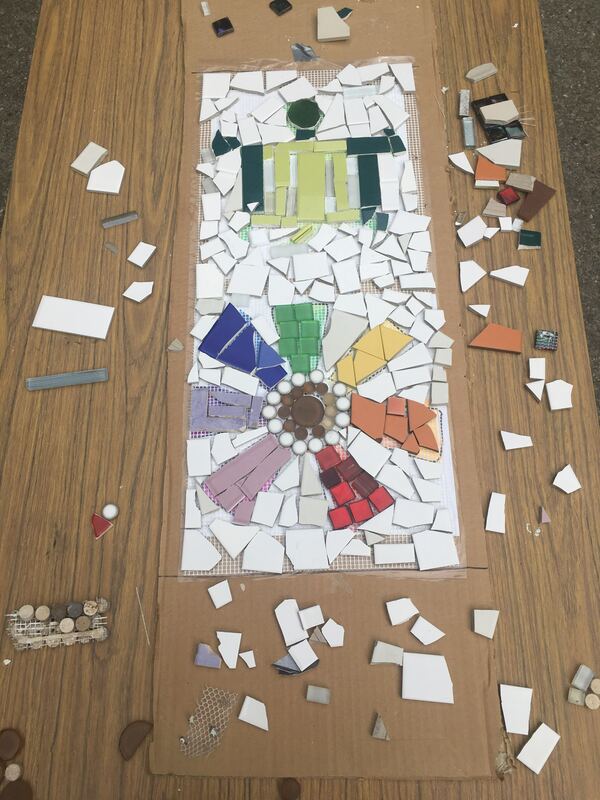 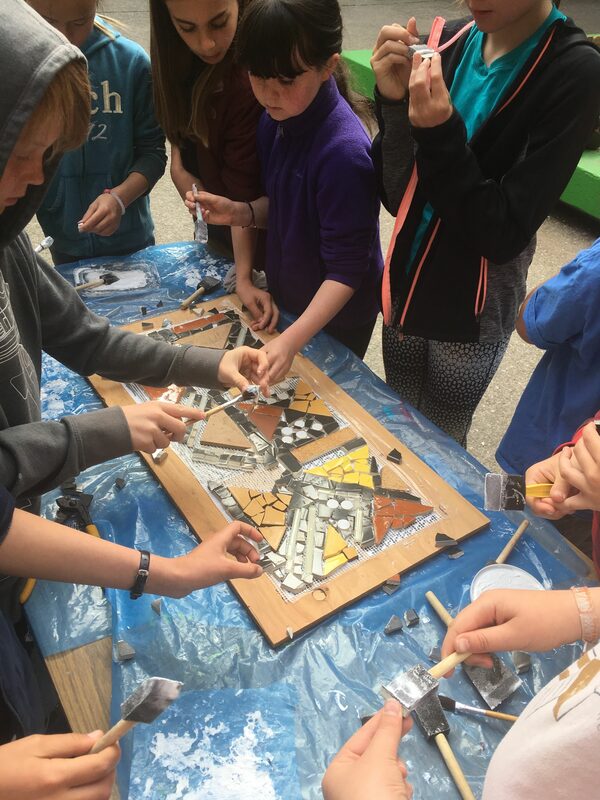 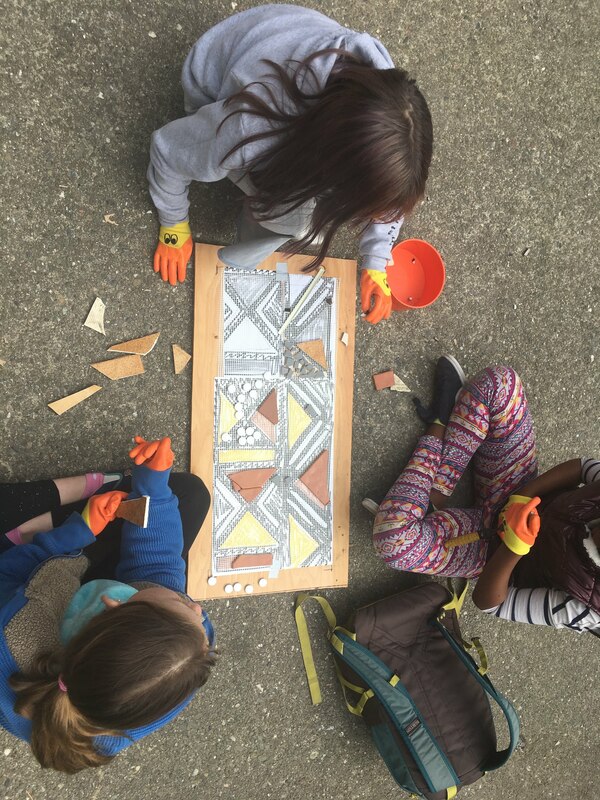 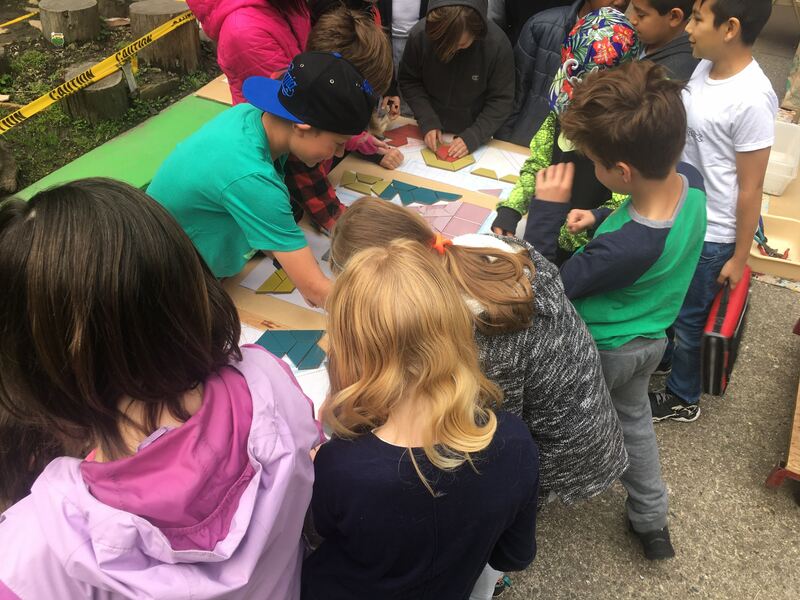 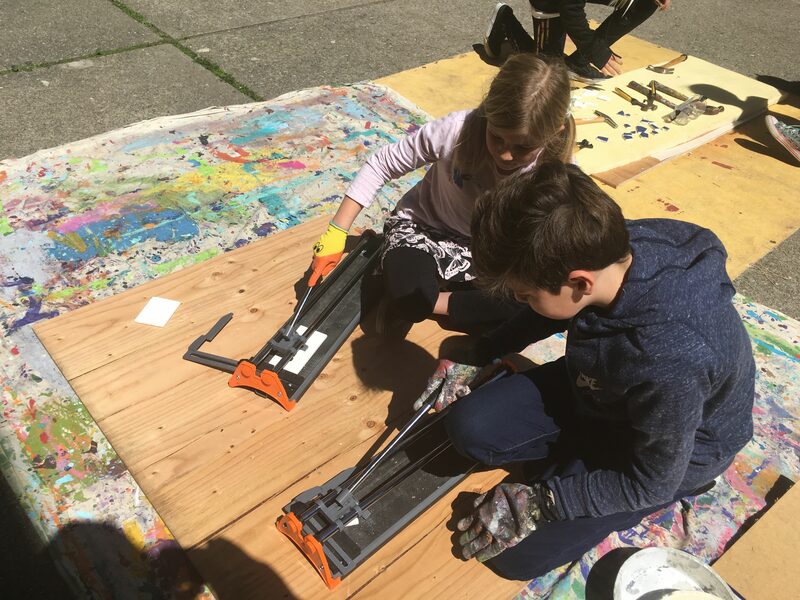 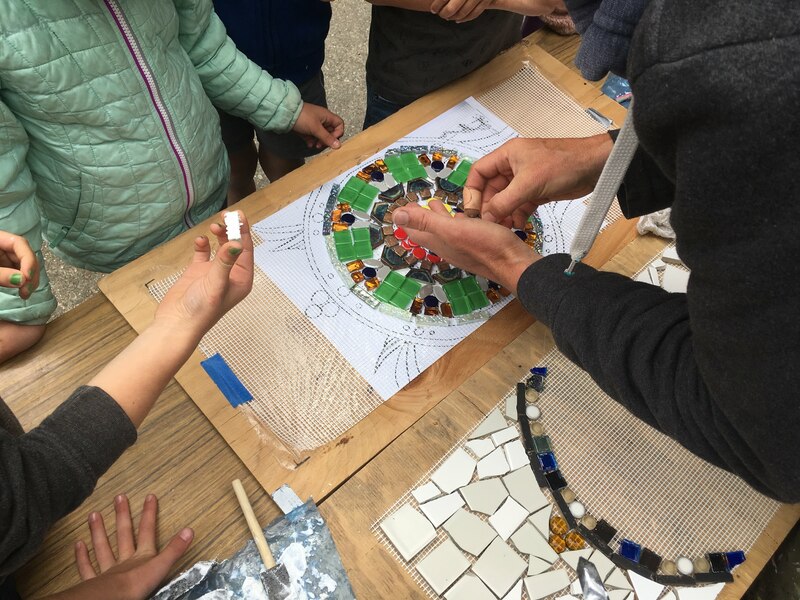 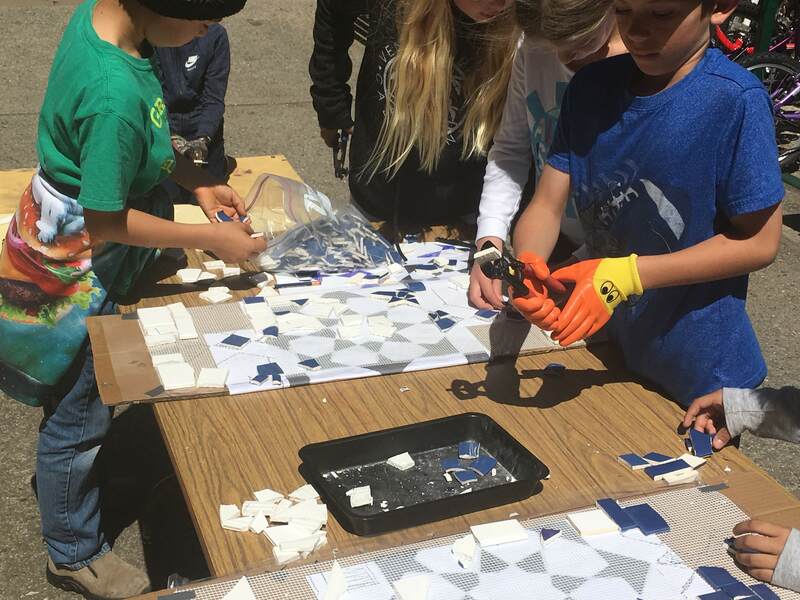 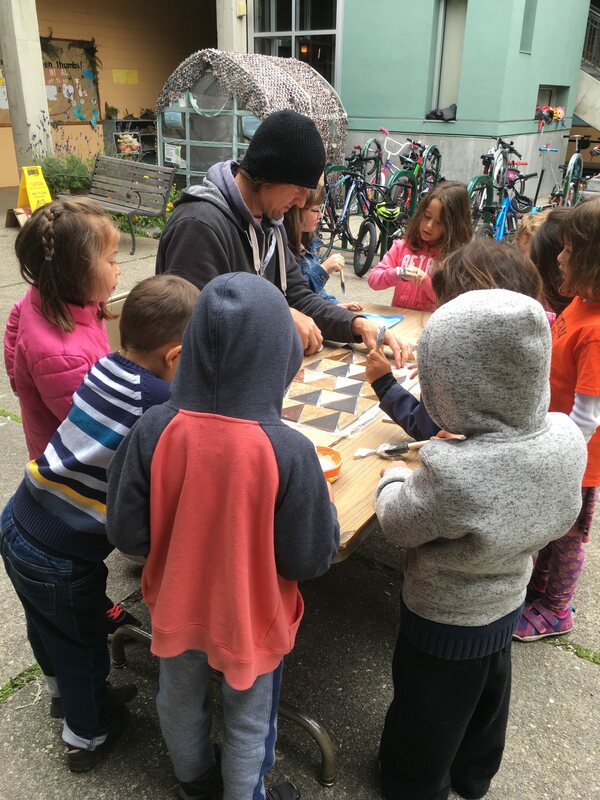 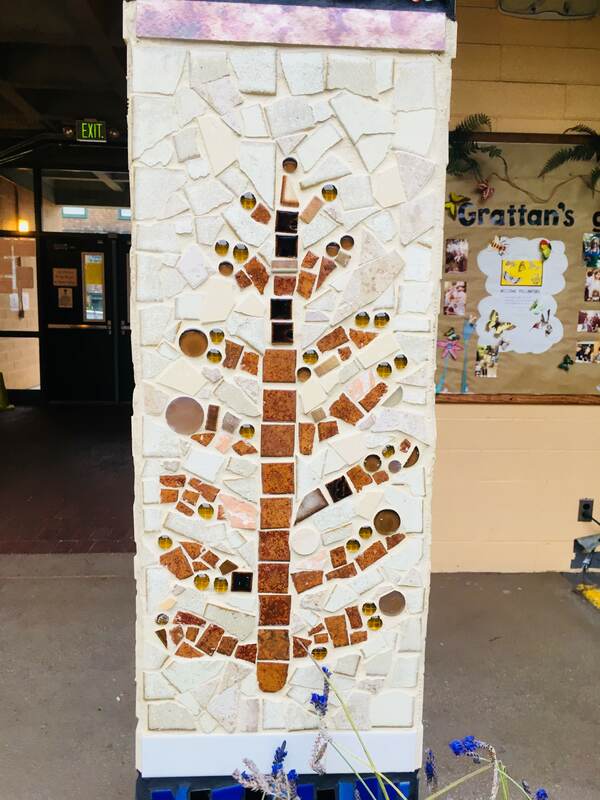 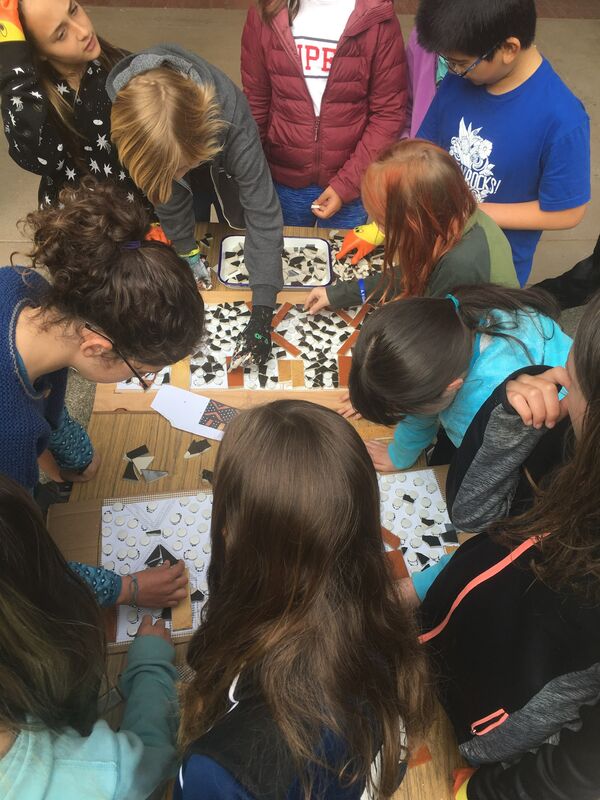 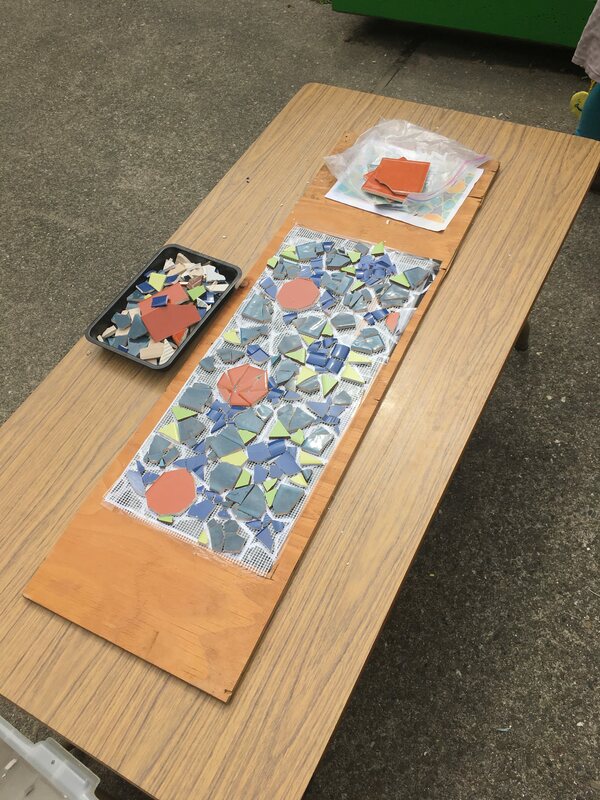 In April of 2019, Create Peace Project will return to Grattan for a third year, and a continuation of our mosaic project. 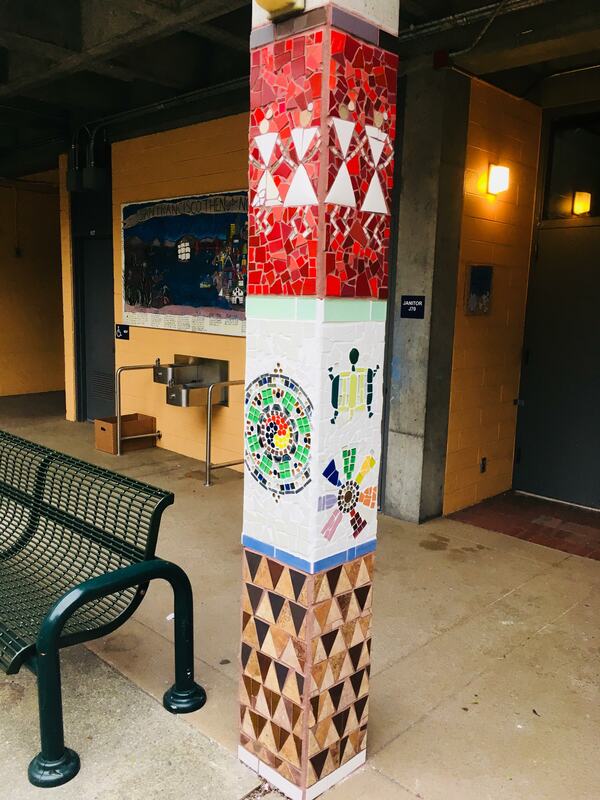 This year we will continue to create cultural patterns with the students to create panels of cultural patterns to cover another 6 pillars.